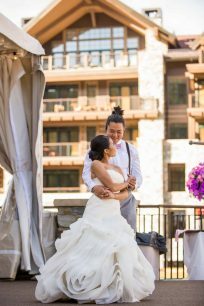 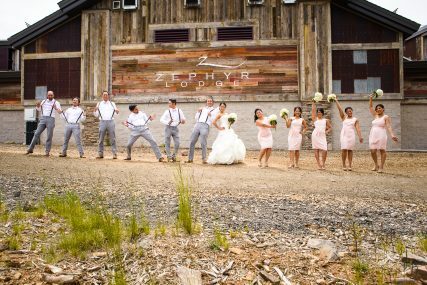 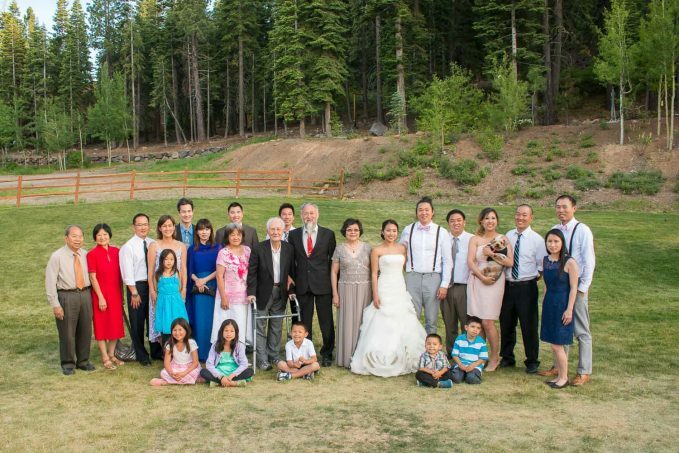 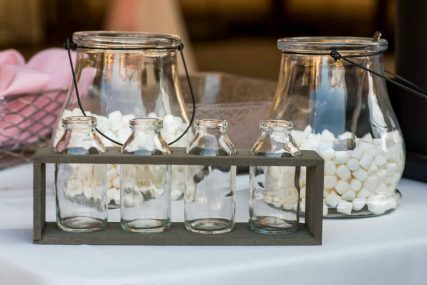 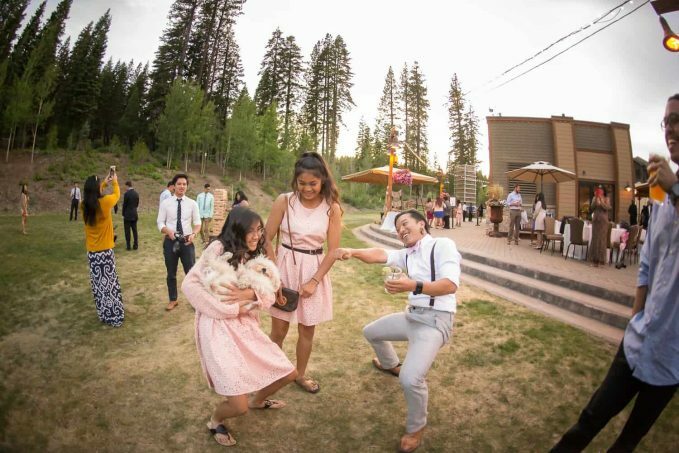 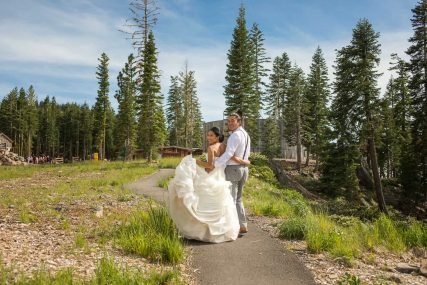 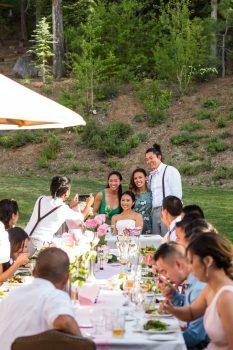 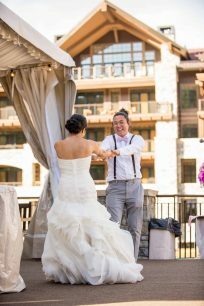 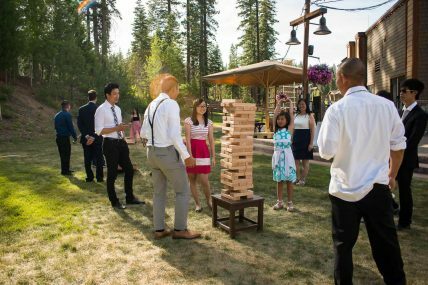 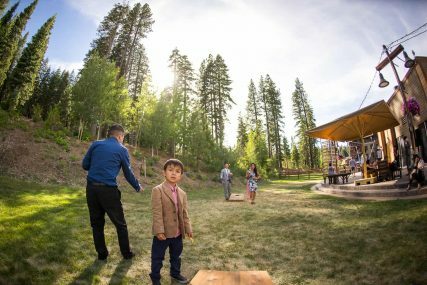 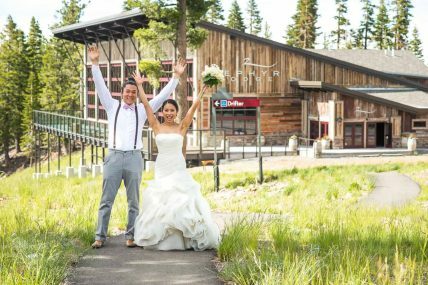 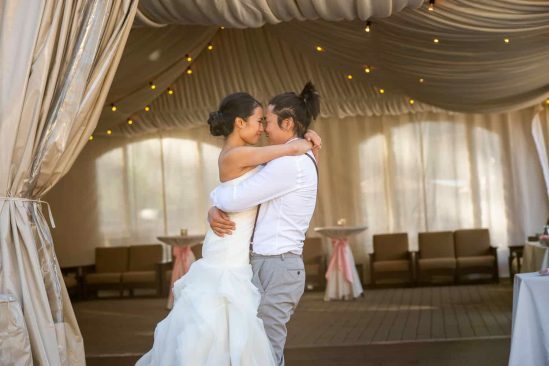 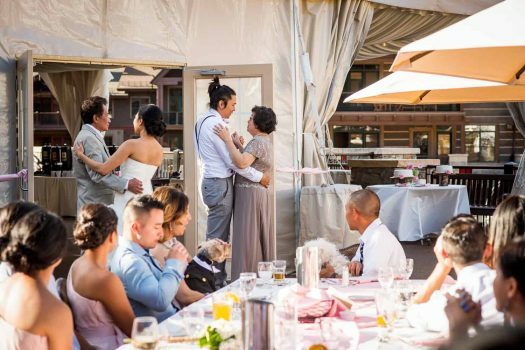 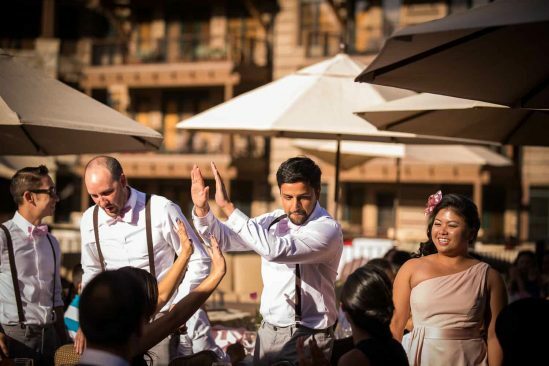 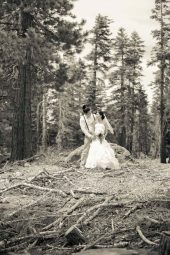 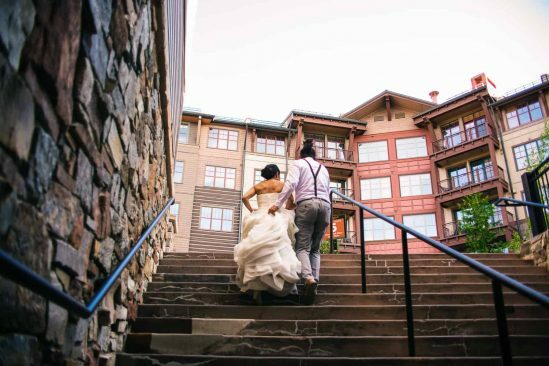 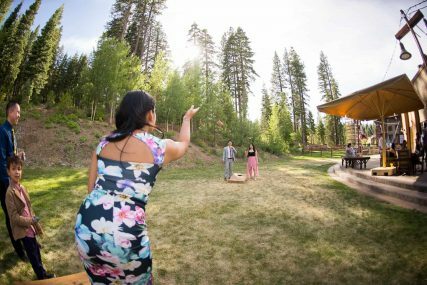 It was only natural that Robin and Peter choose to have a Northstar Lake Tahoe Wedding to say their I do’s as this is the resort where they spend much of their time together. 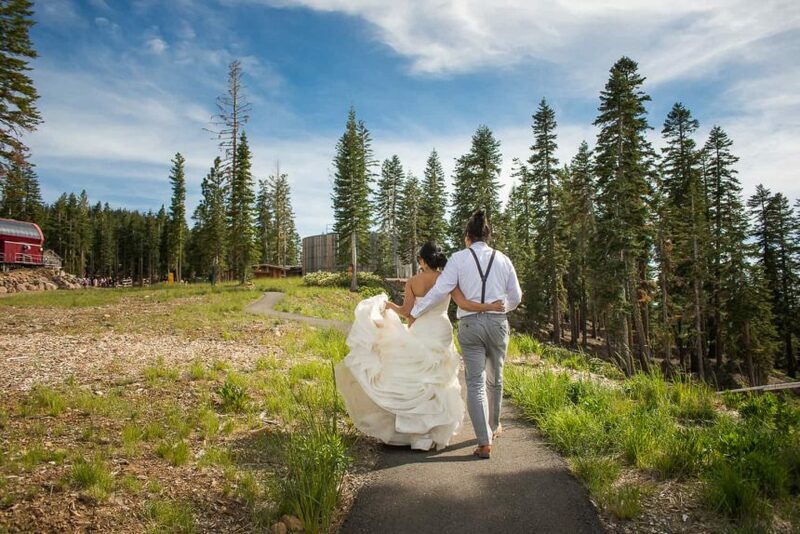 They are beautiful wandering souls who happened to find each other on their journey through life. 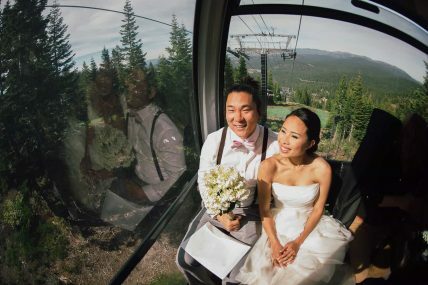 They love adventure and live their lives in the moment. 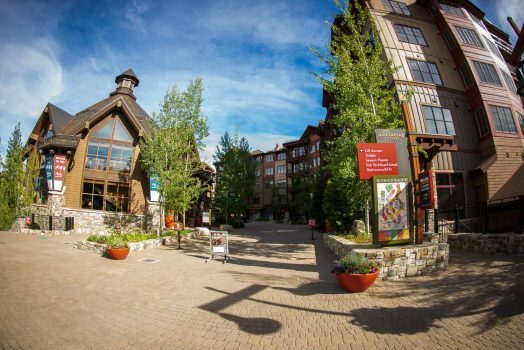 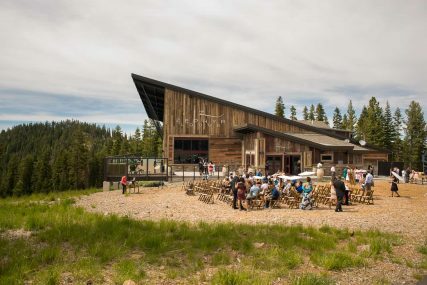 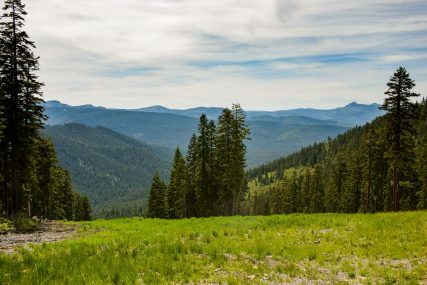 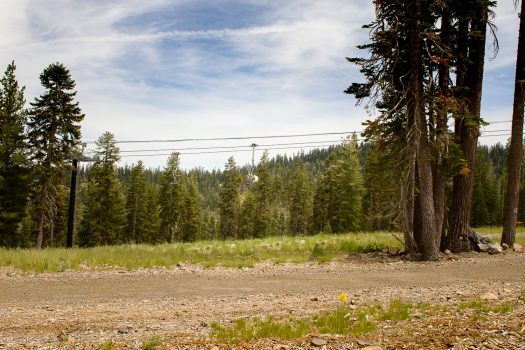 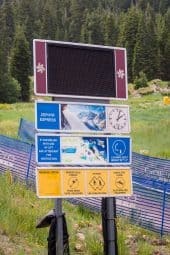 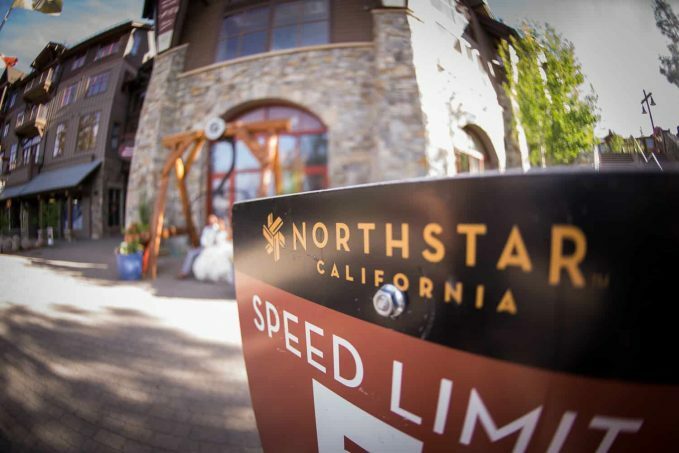 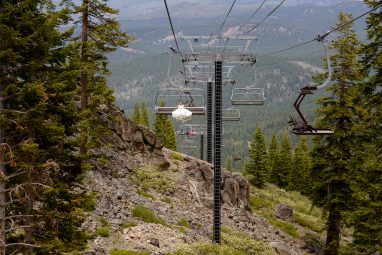 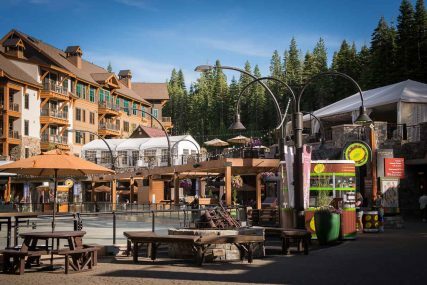 Northstar’s sweeping mountain views made for a spectacular backdrop with plenty of photo locations to choose from. 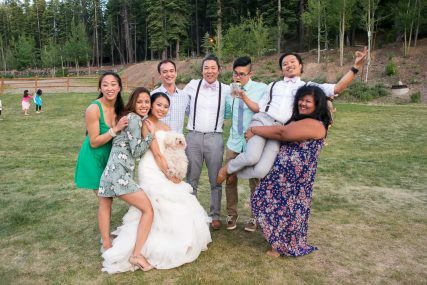 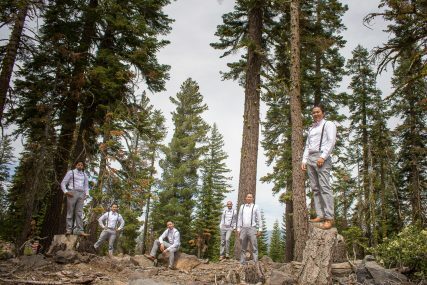 They chose to have a first look to start the photography which gave us enough time before the ceremony to capture the bridal party as well as some amazing photos of them together before. 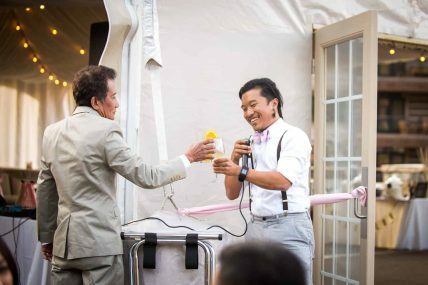 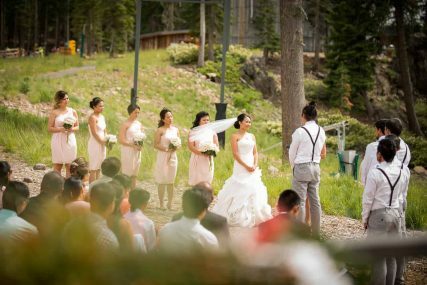 As the wedding ceremony processional began, the crowd broke out into applause welcoming the bride, groom and bridal party down the aisle. 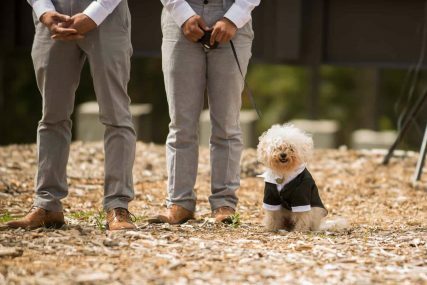 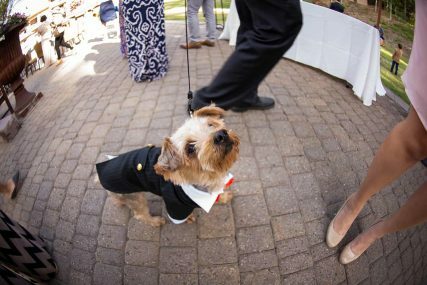 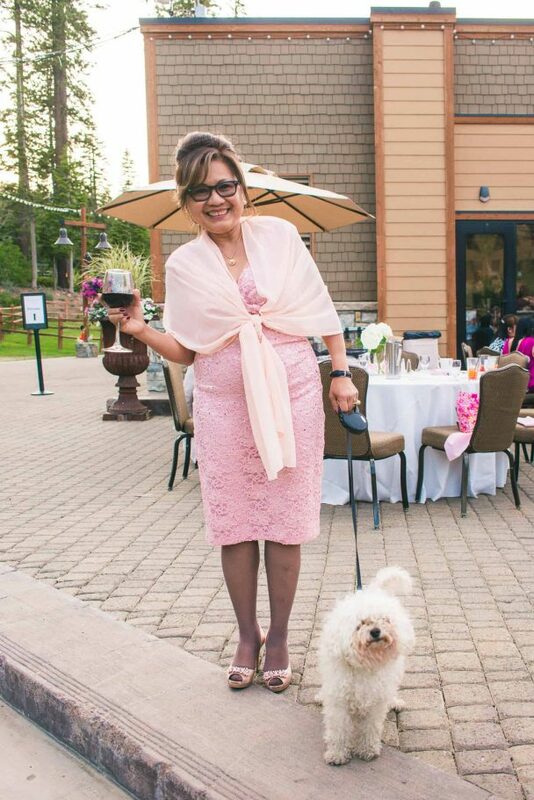 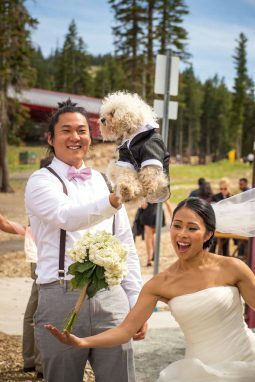 Notably their sweet little dog Yoshi was beyond fabulous and well dressed for the occasion. 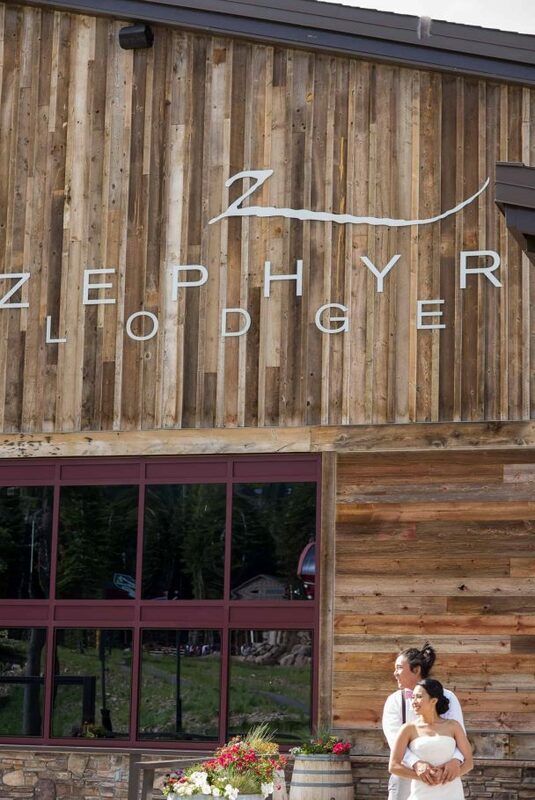 Of course you couldn’t help but want to snuggle up to him. 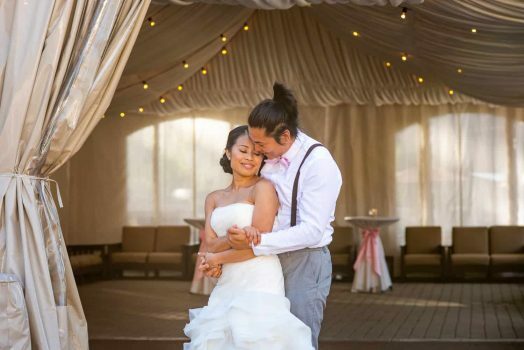 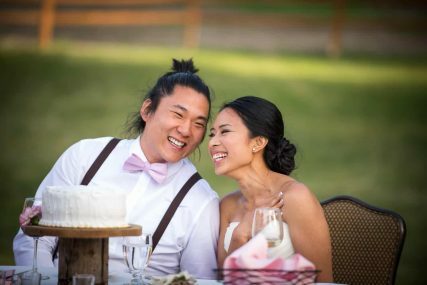 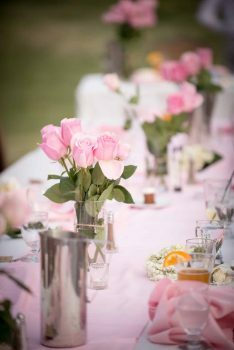 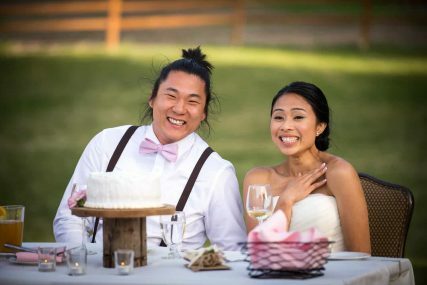 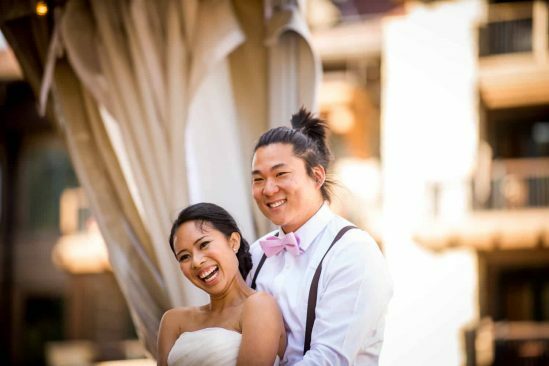 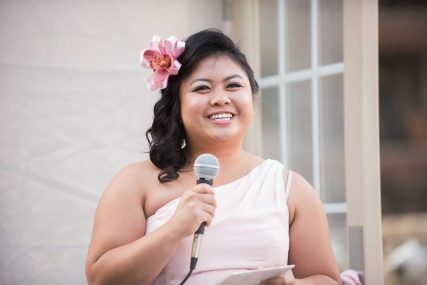 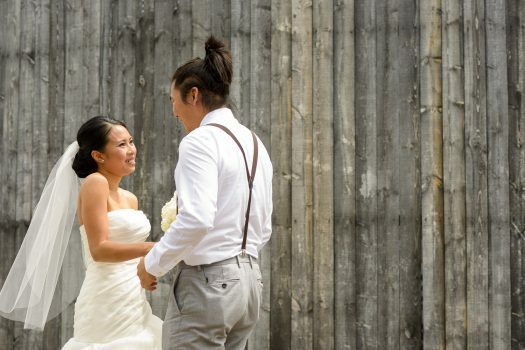 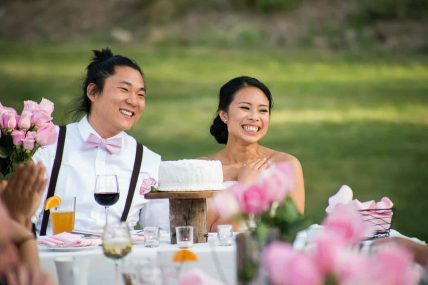 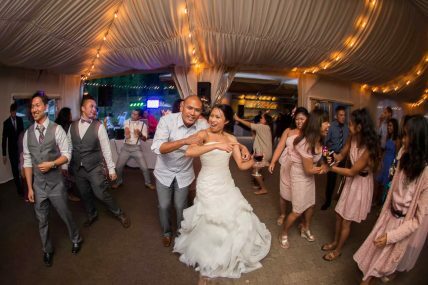 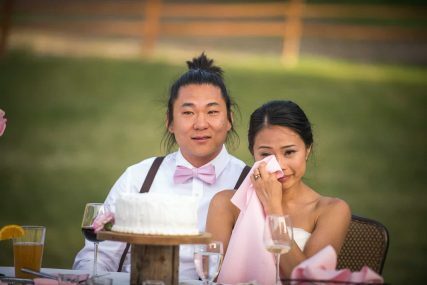 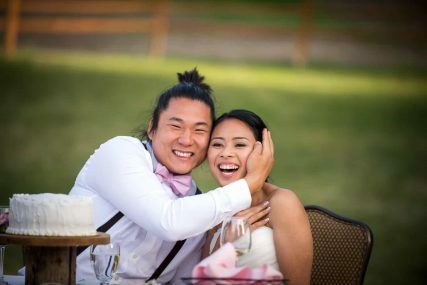 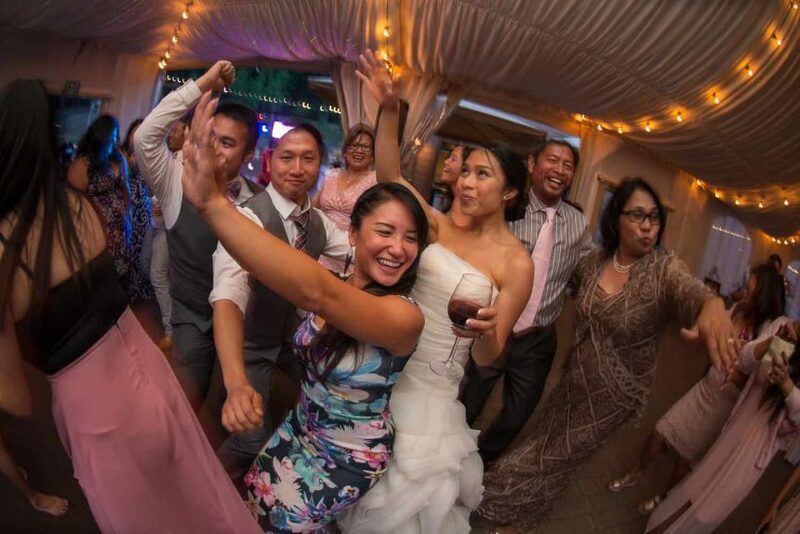 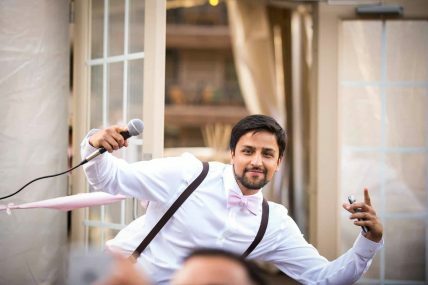 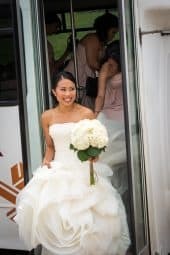 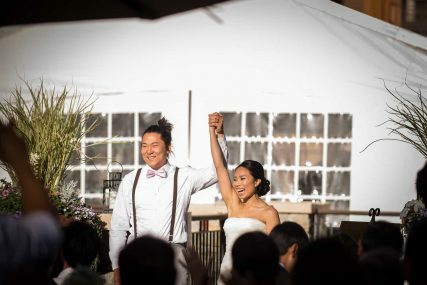 The smiles on their faces throughout the day were infectious and you could truly feel the love and warmth of their family and friends surrounding them as they became husband and wife. 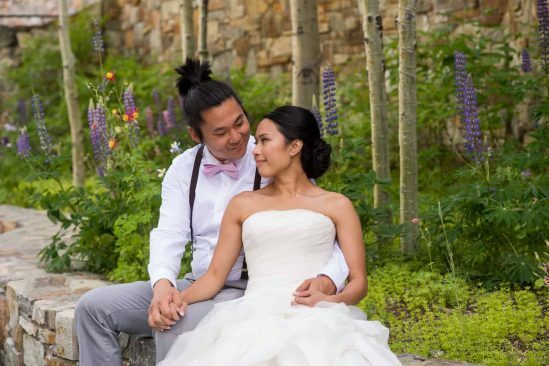 Before long we found that it was serendipity when we set them up on the hillside next to some lupine flowers and they told us they had some pictures together already in that exact location. 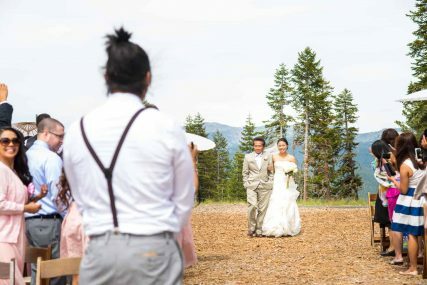 Without delay, they then proceeded to launch into aerial yoga that was a surprise and quite stunning with the views behind them. 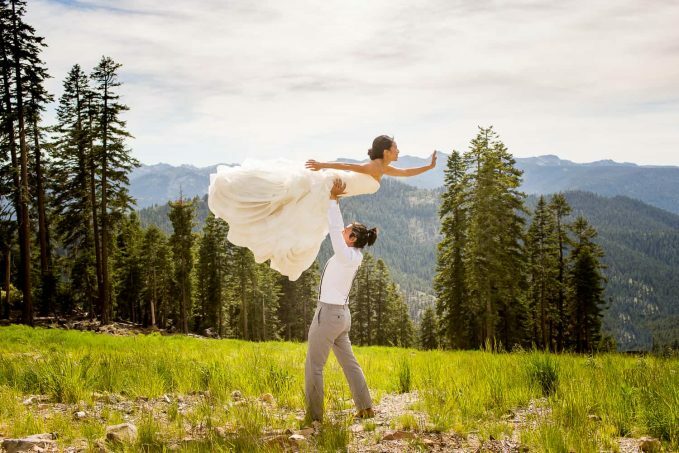 They were so graceful and Robin looked as though she was floating on air. 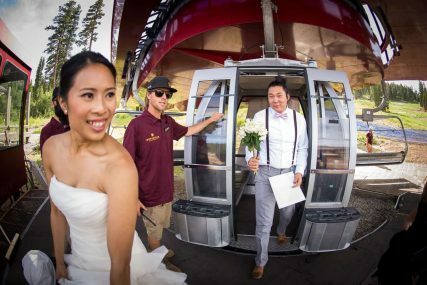 Eventually we headed down the gondola to the village for the reception and it was super fun walking around with them hearing passerby’s wishing them congratulations. 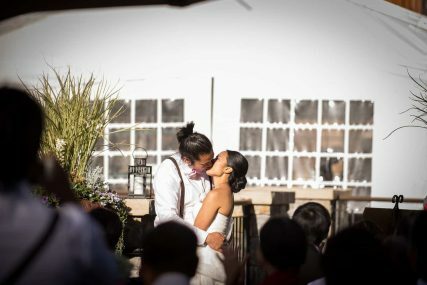 Altogether it was such an honor to witness their day through our lens and we wish them love and light on their new beginning together. 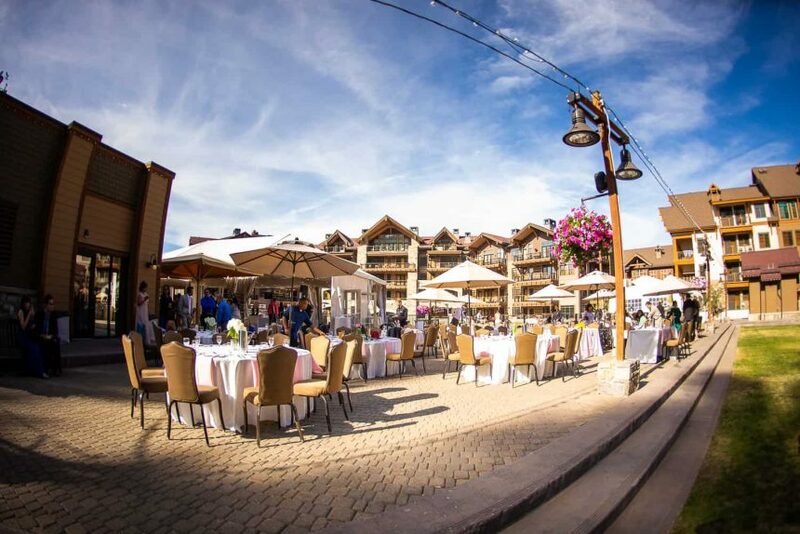 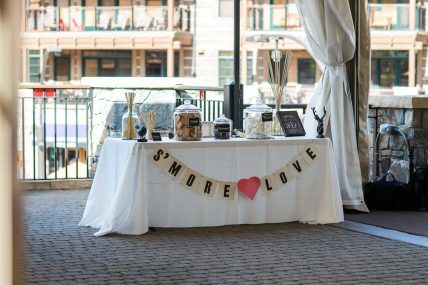 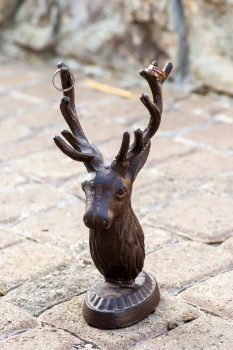 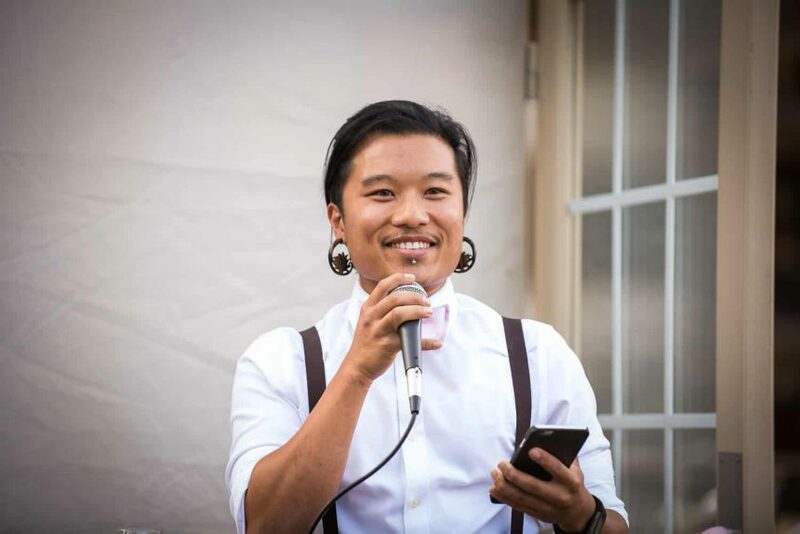 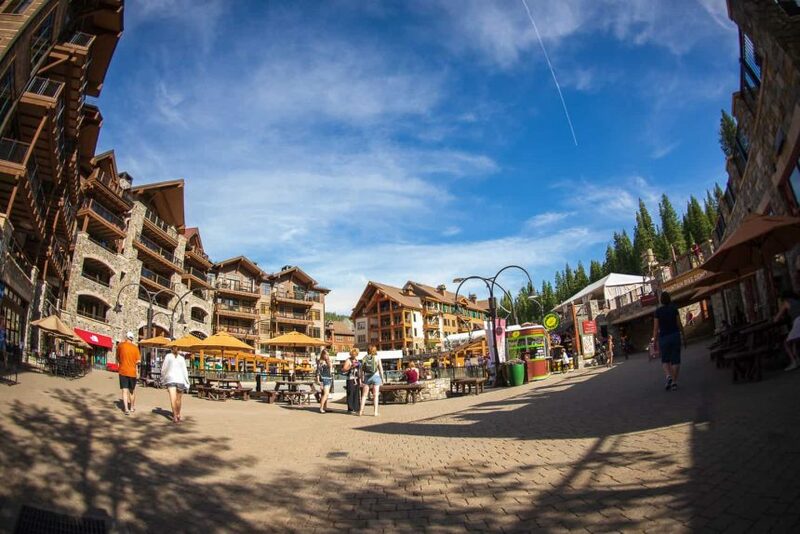 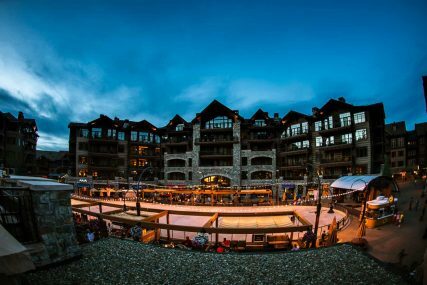 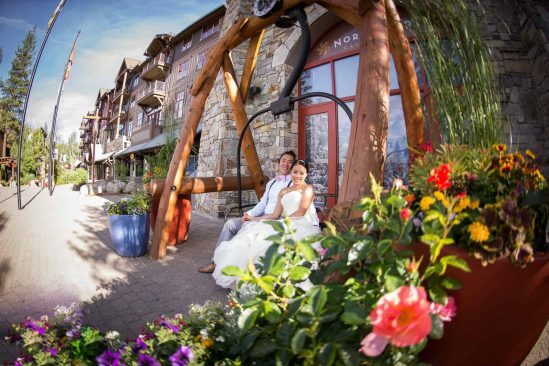 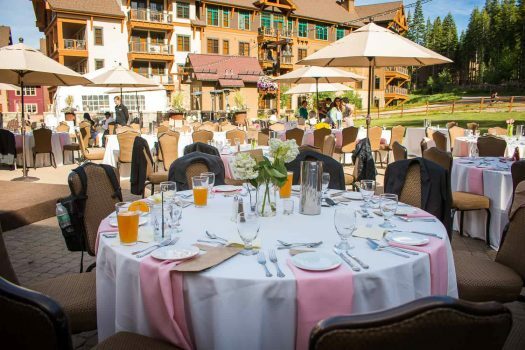 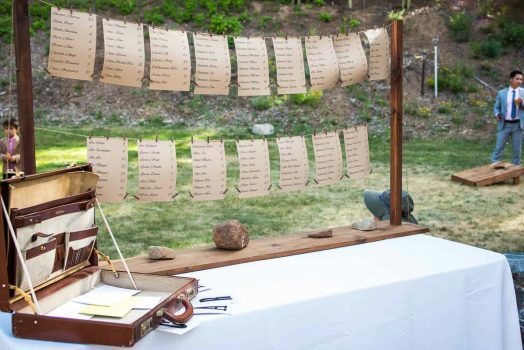 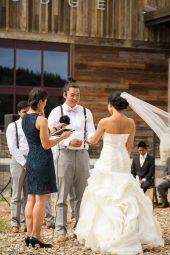 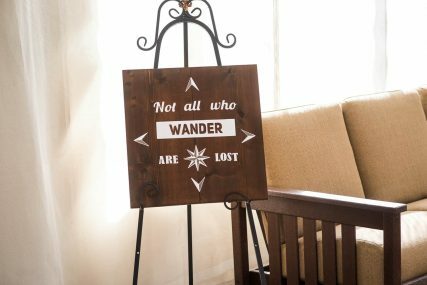 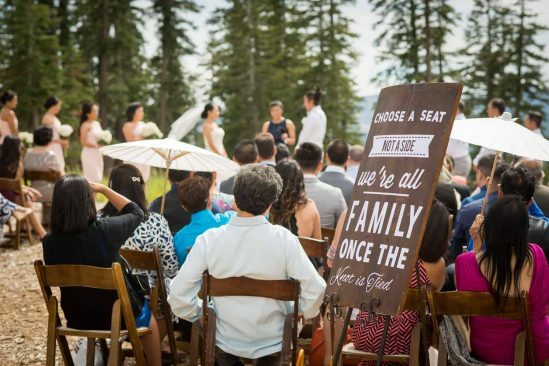 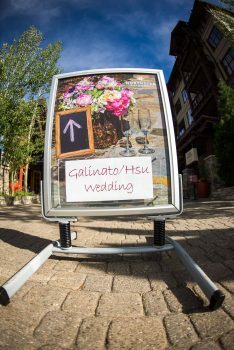 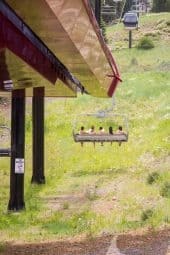 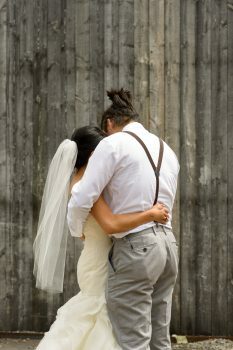 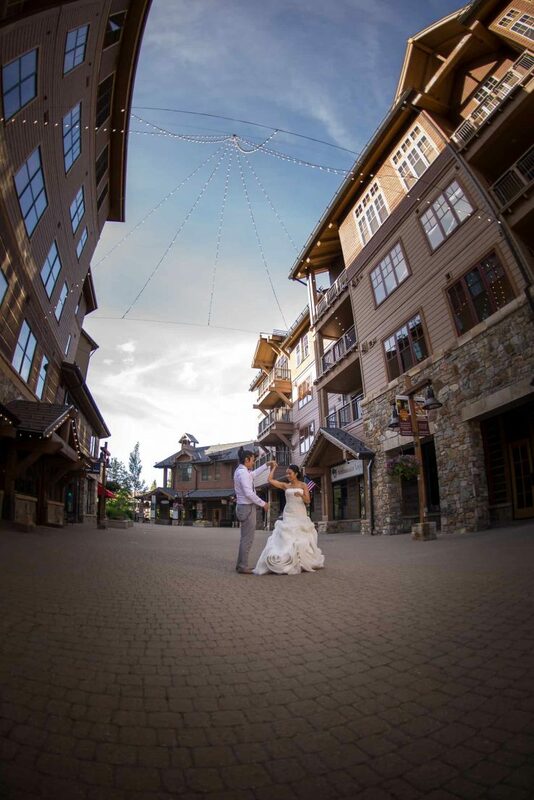 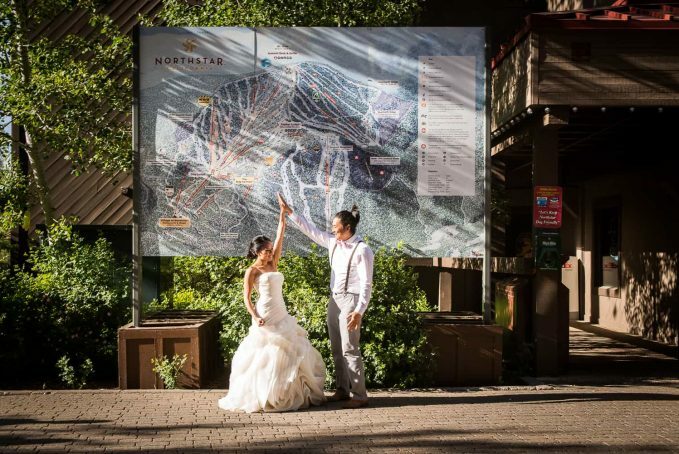 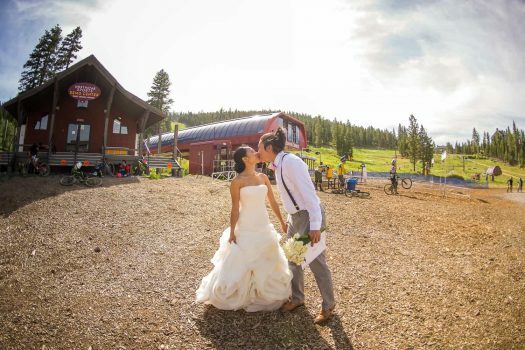 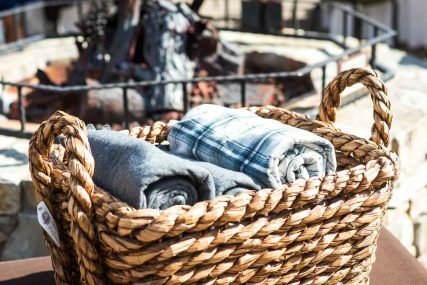 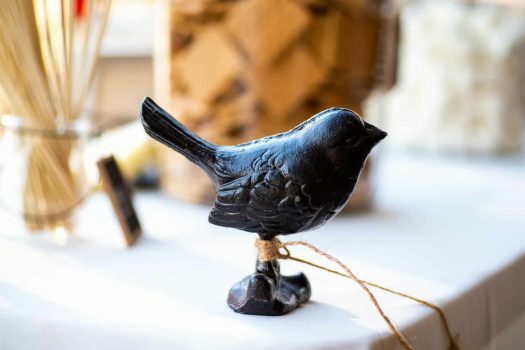 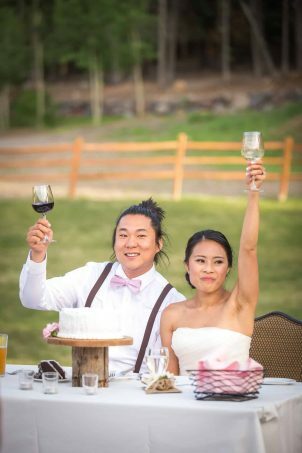 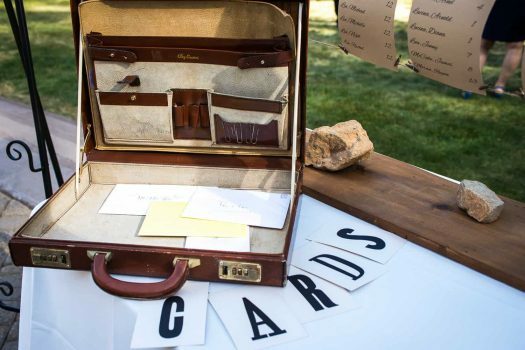 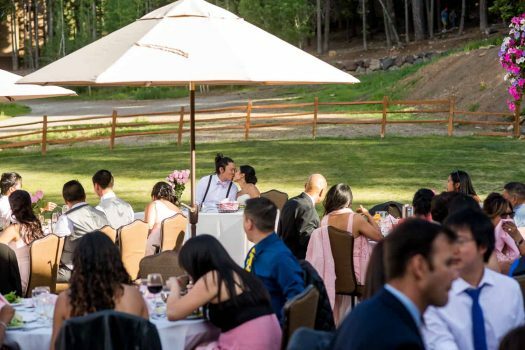 Thinking about saying your I do’s at a ski resort? 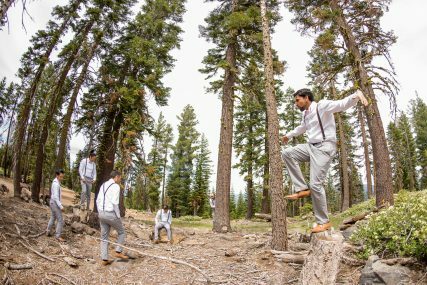 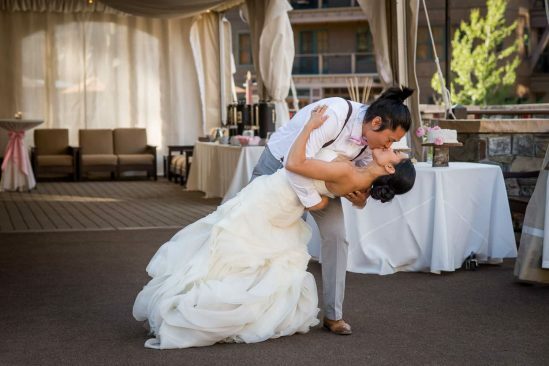 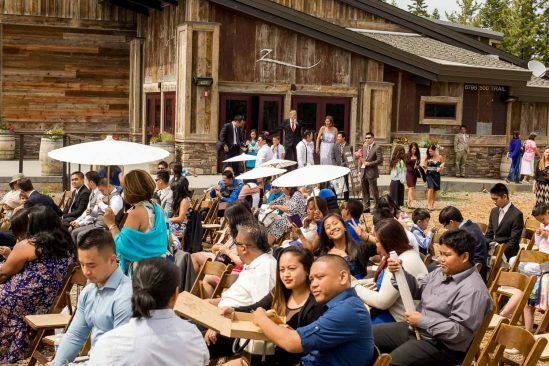 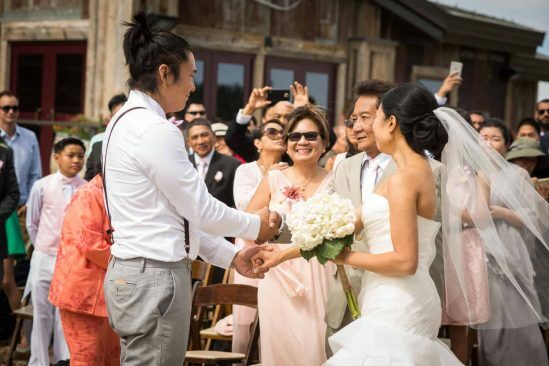 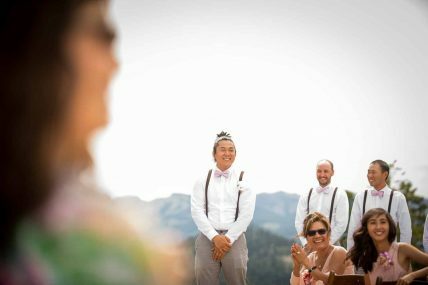 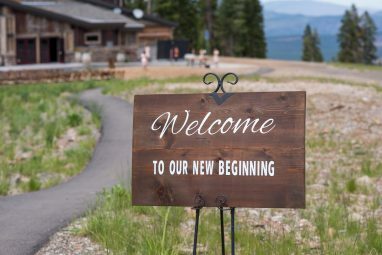 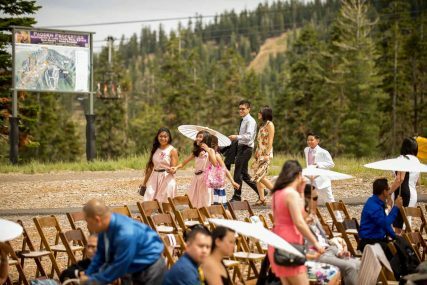 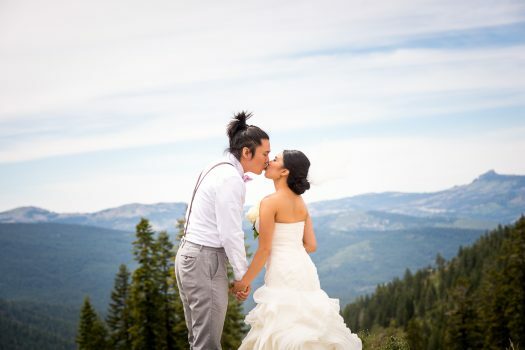 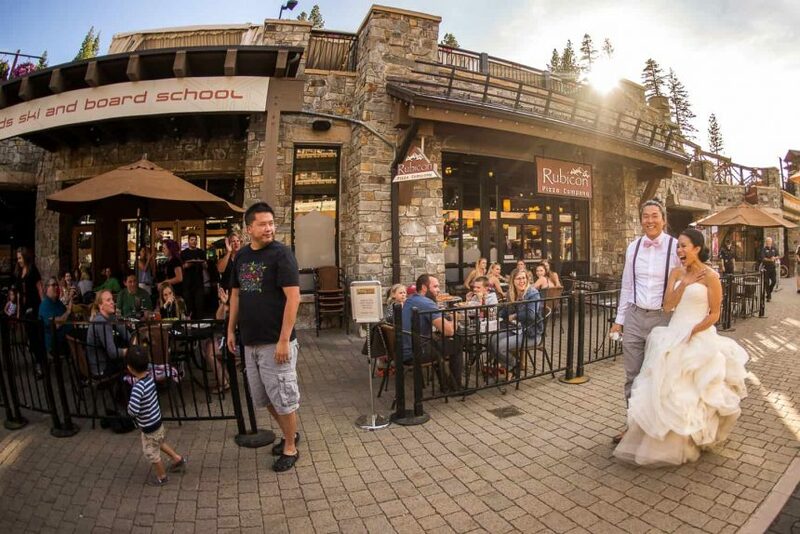 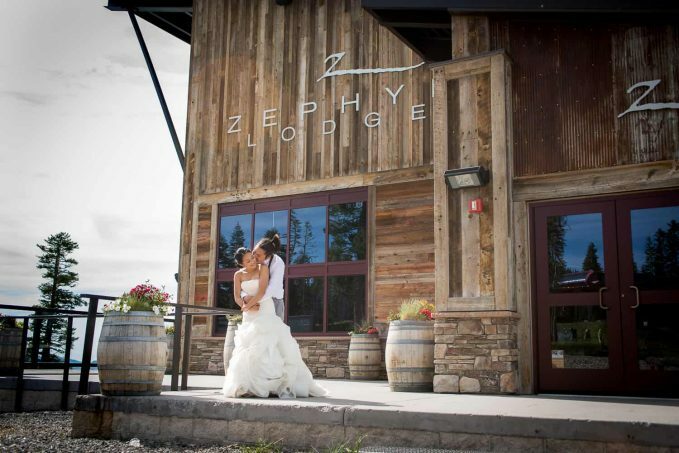 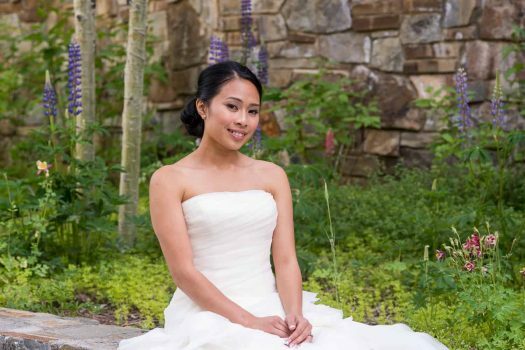 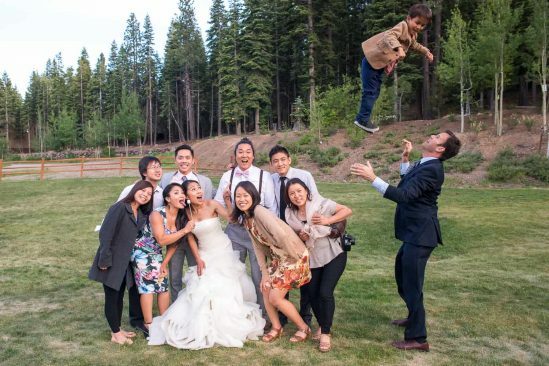 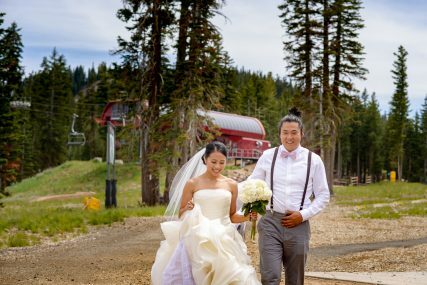 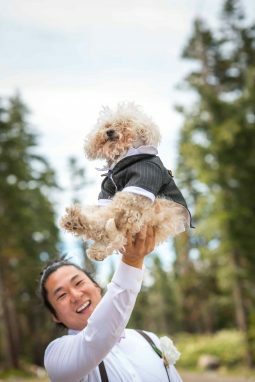 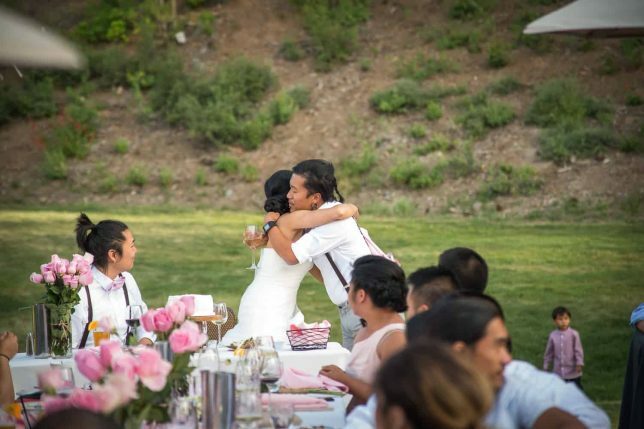 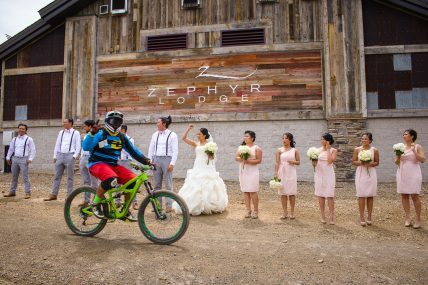 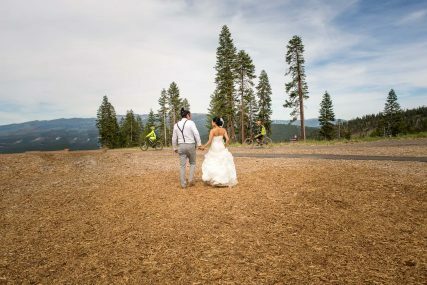 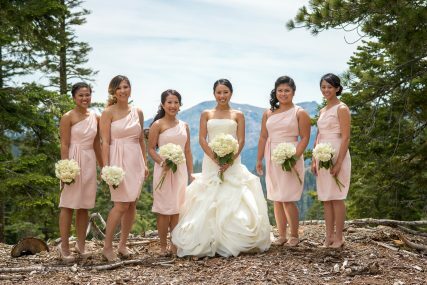 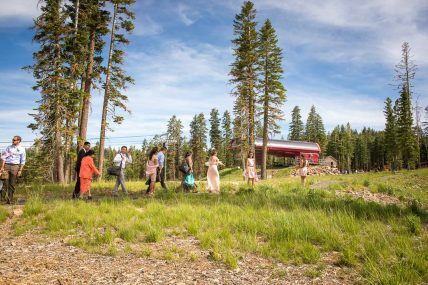 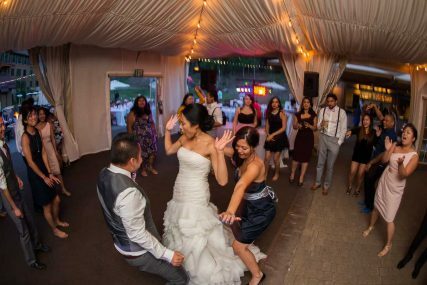 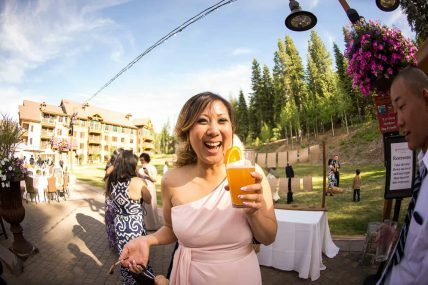 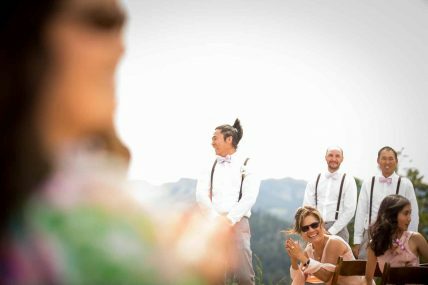 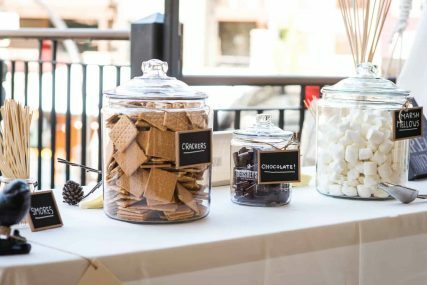 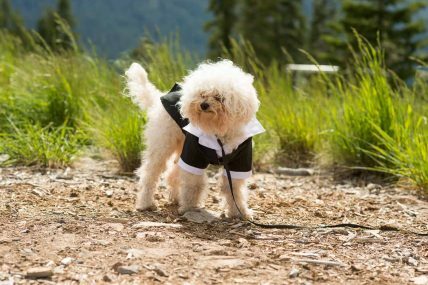 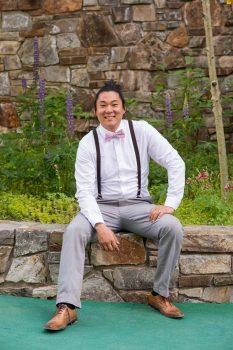 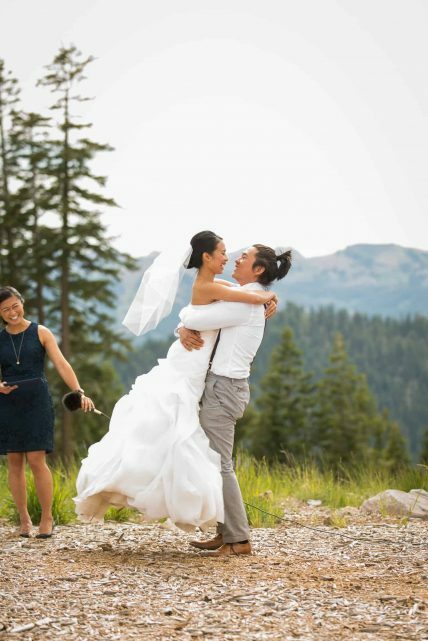 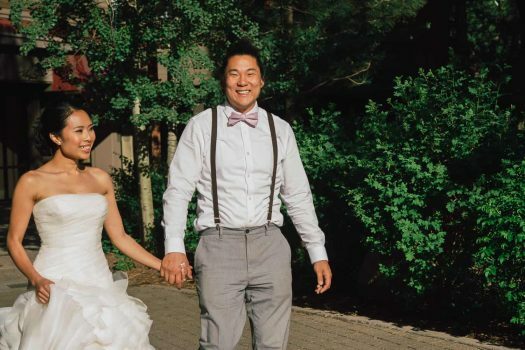 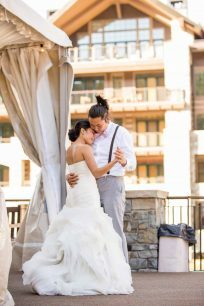 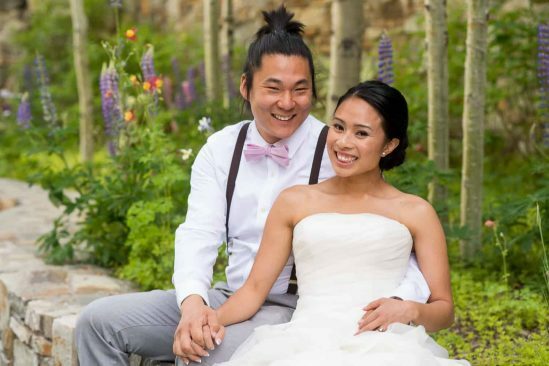 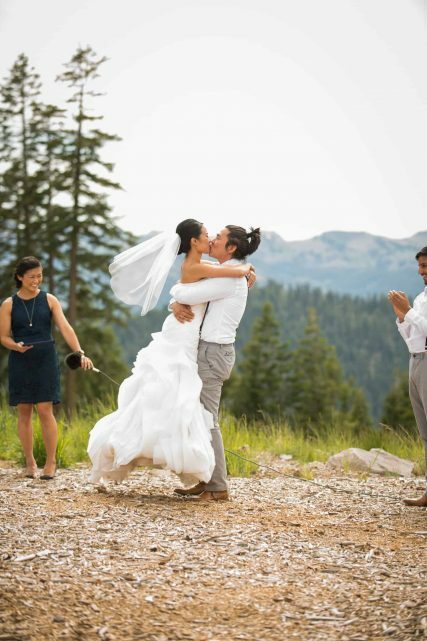 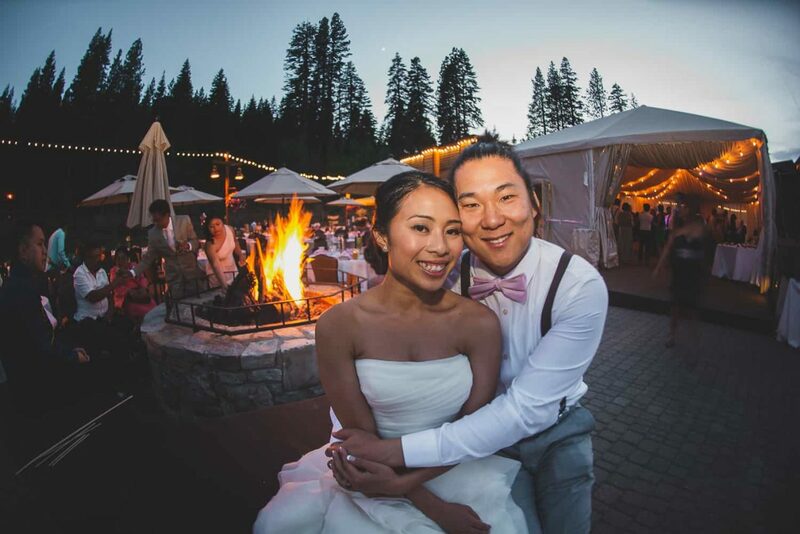 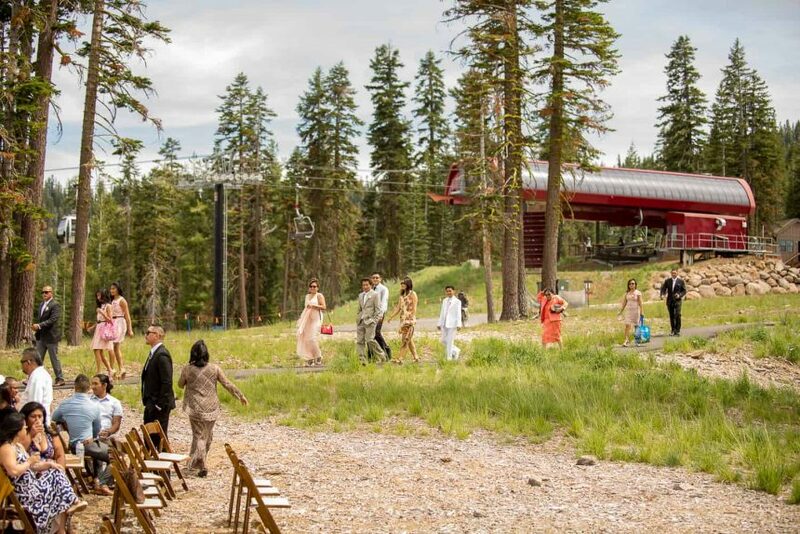 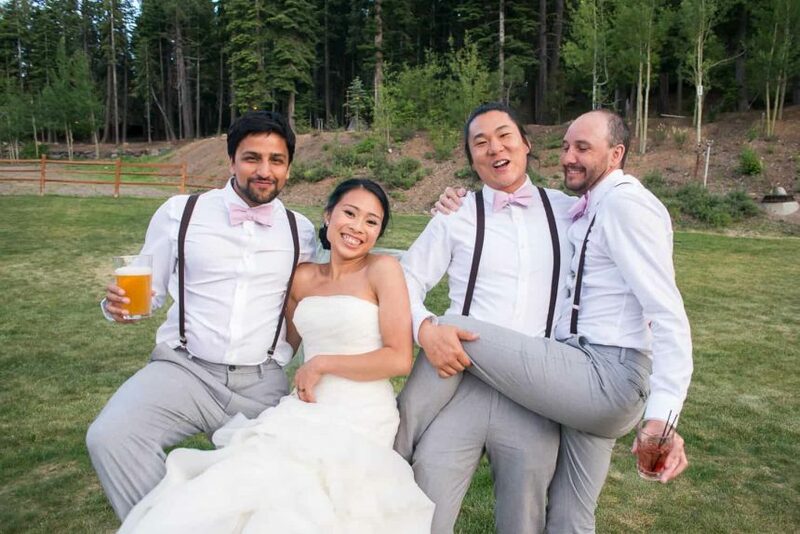 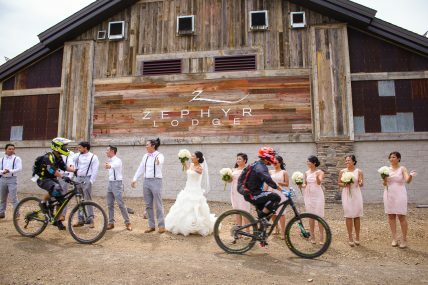 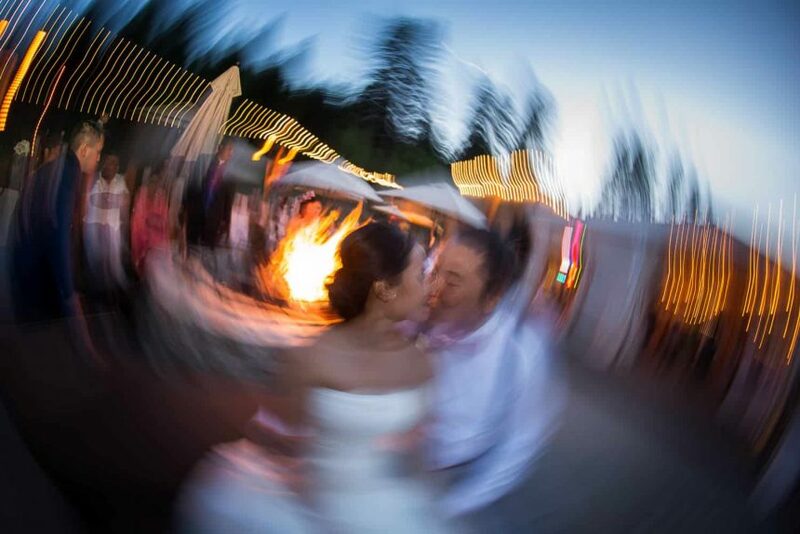 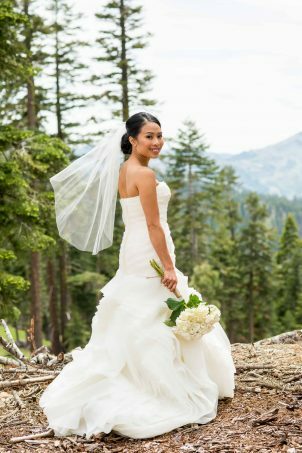 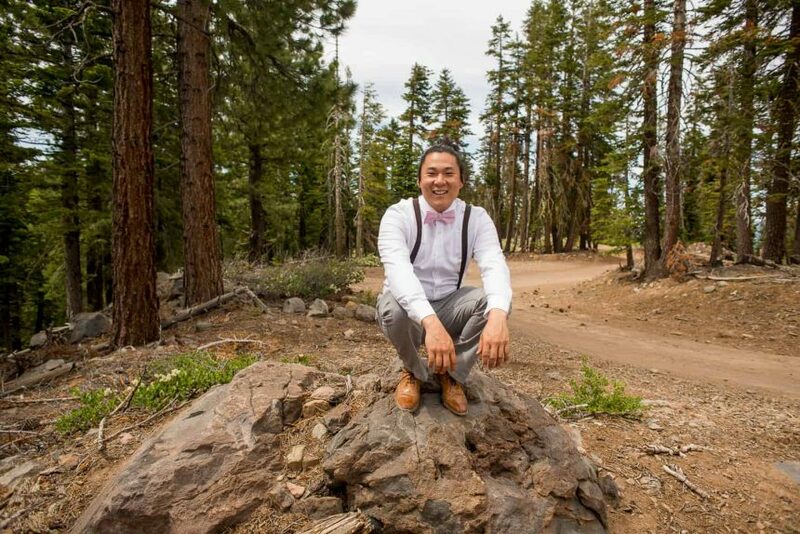 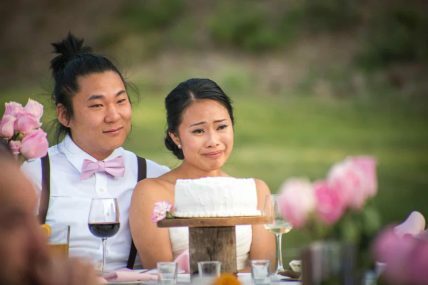 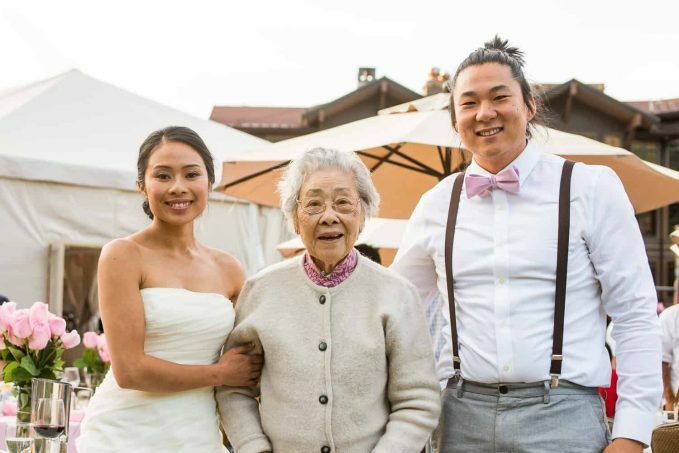 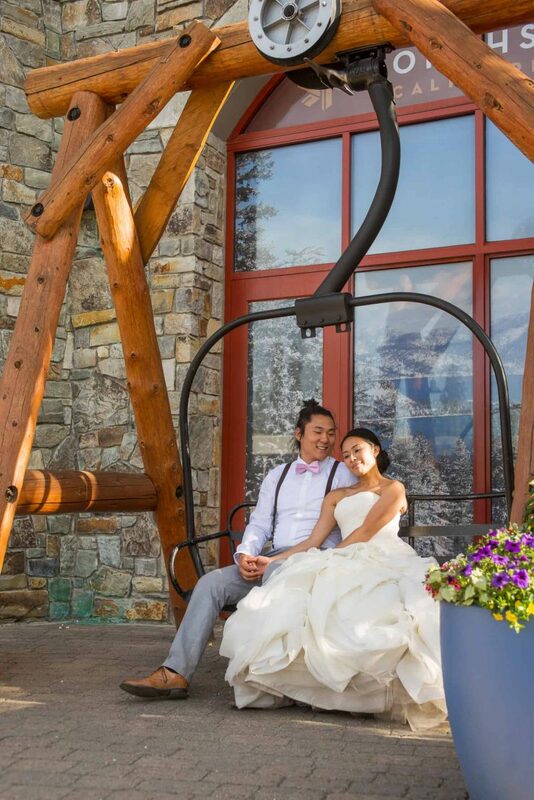 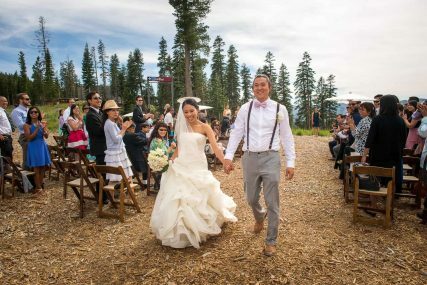 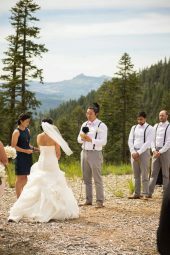 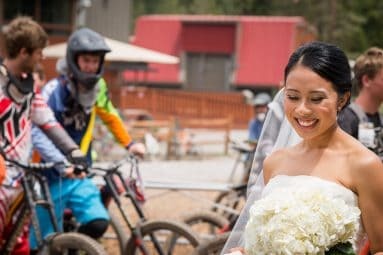 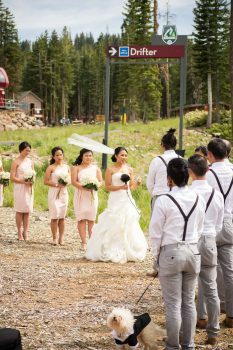 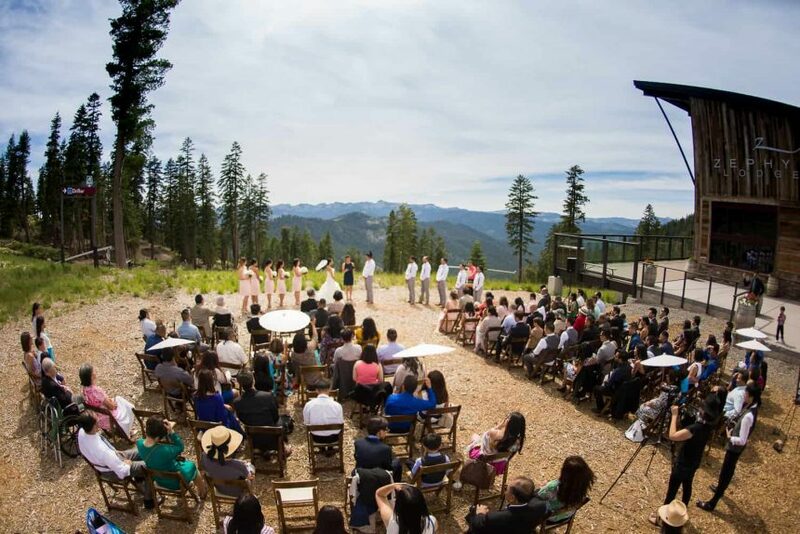 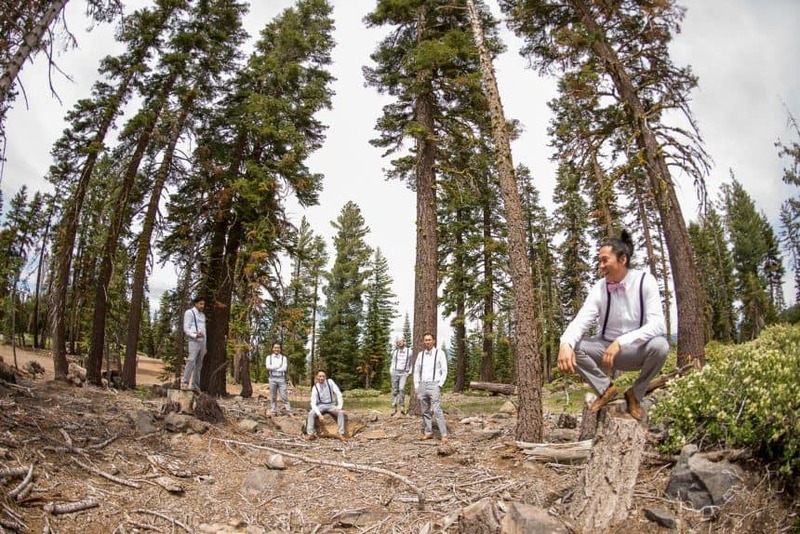 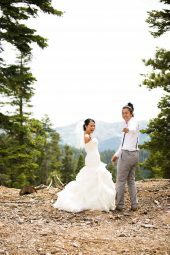 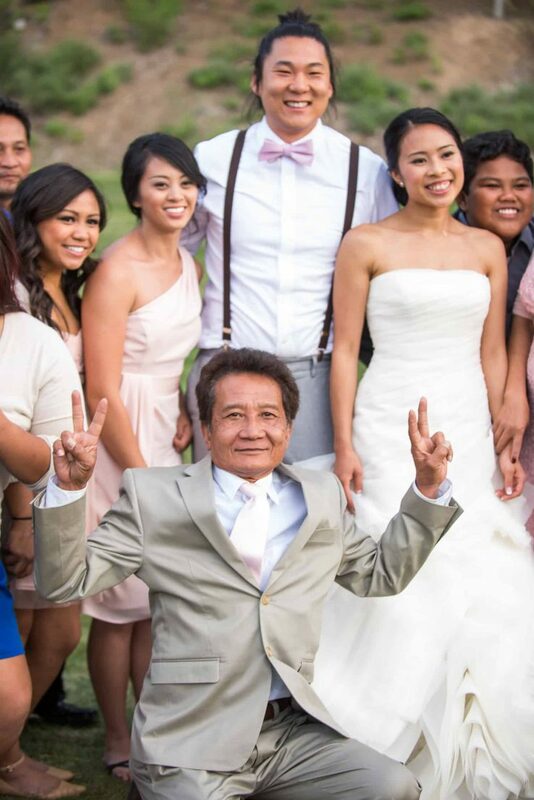 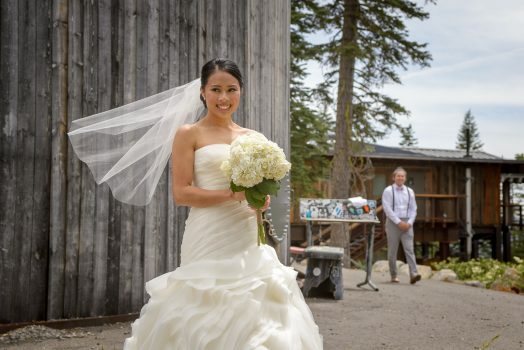 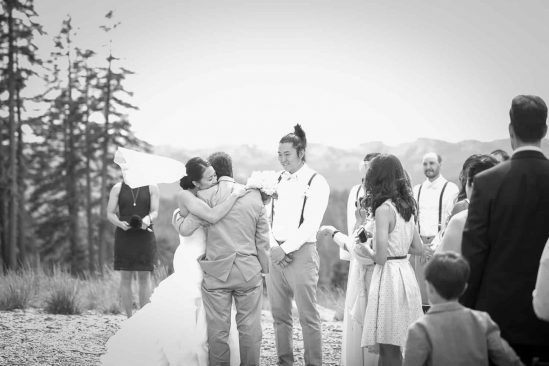 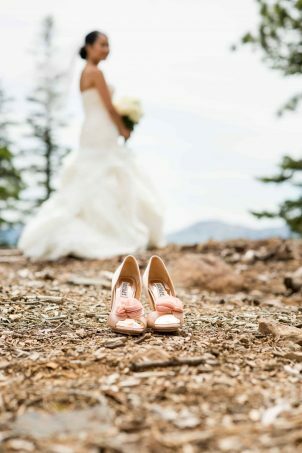 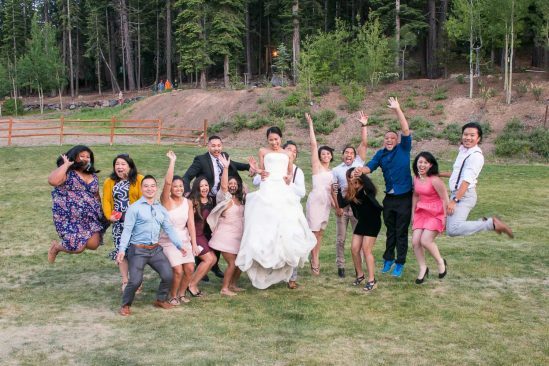 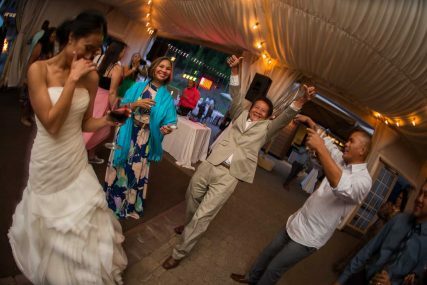 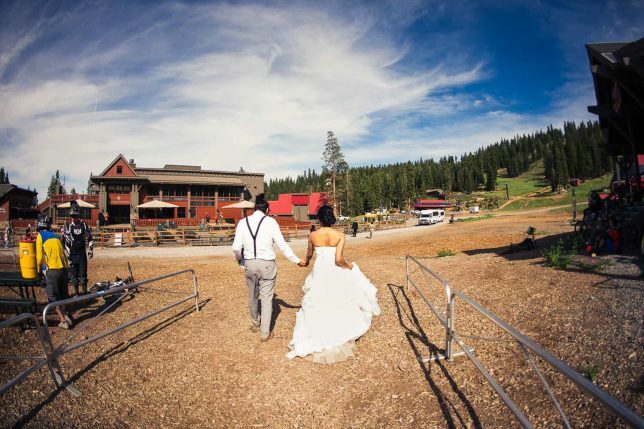 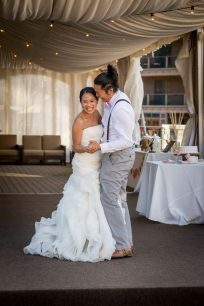 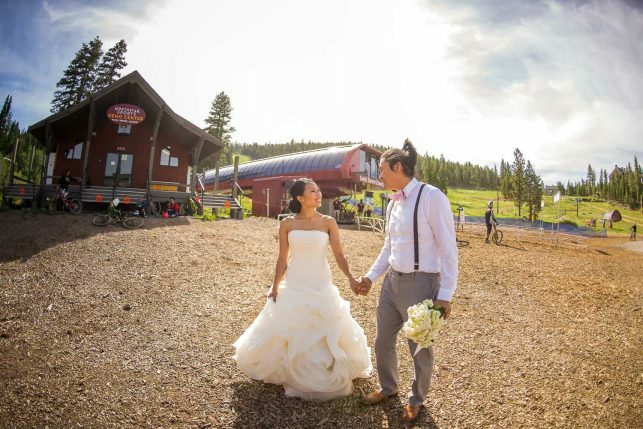 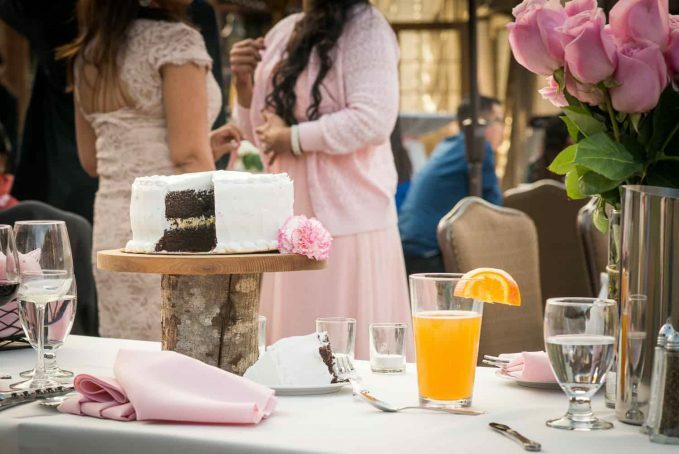 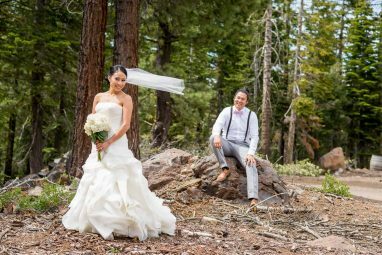 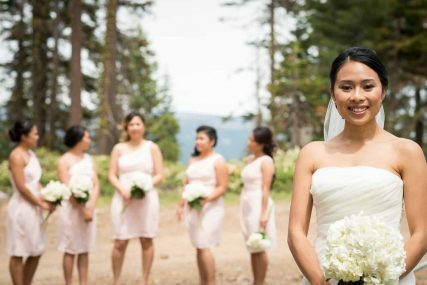 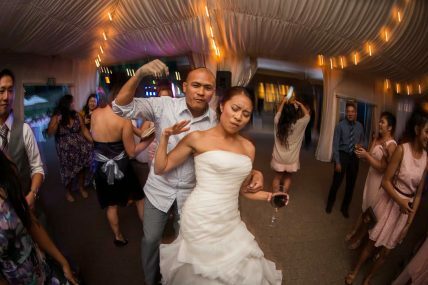 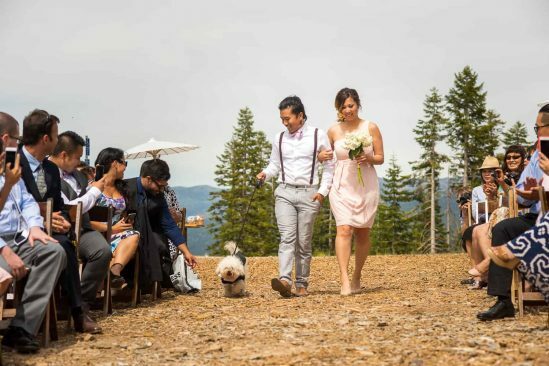 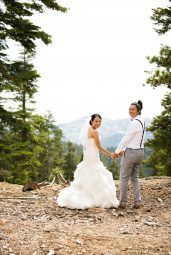 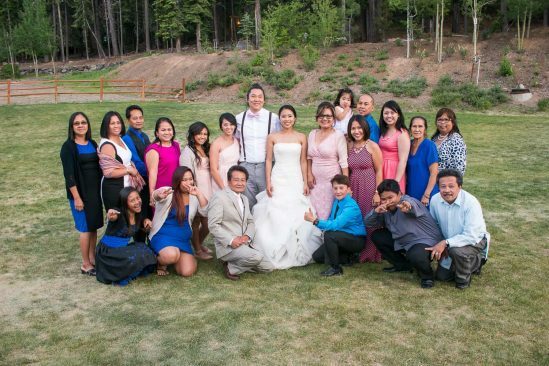 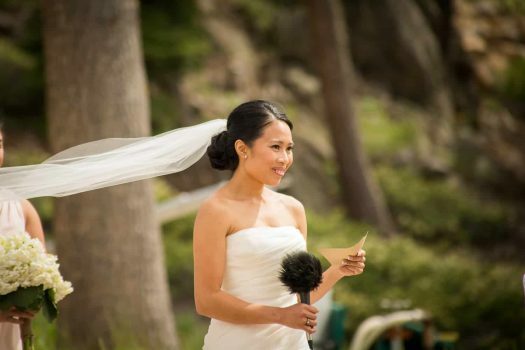 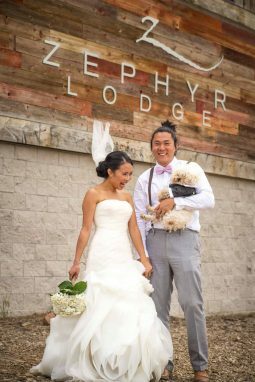 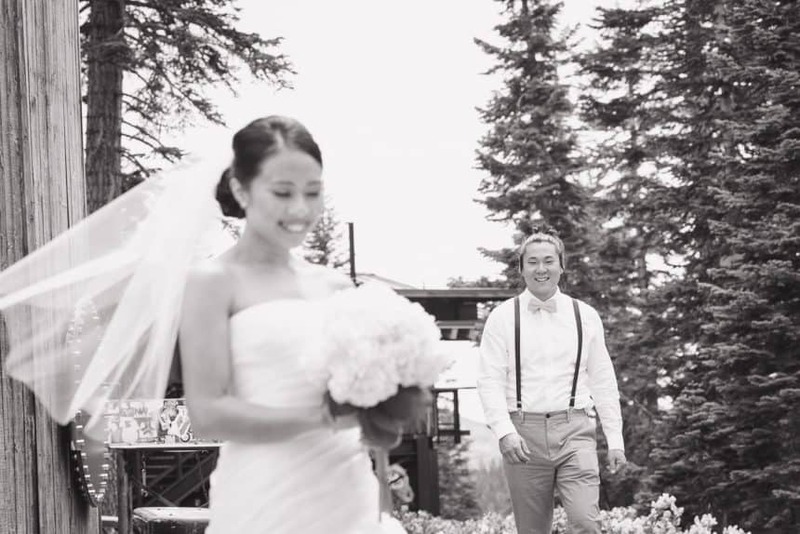 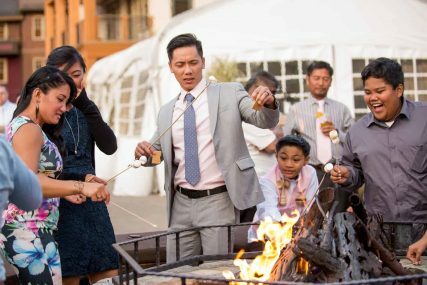 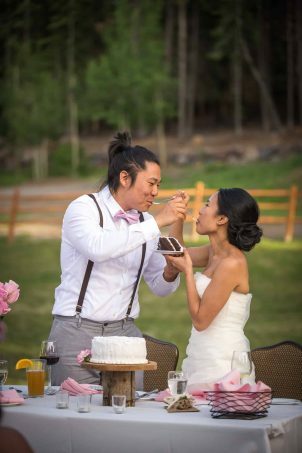 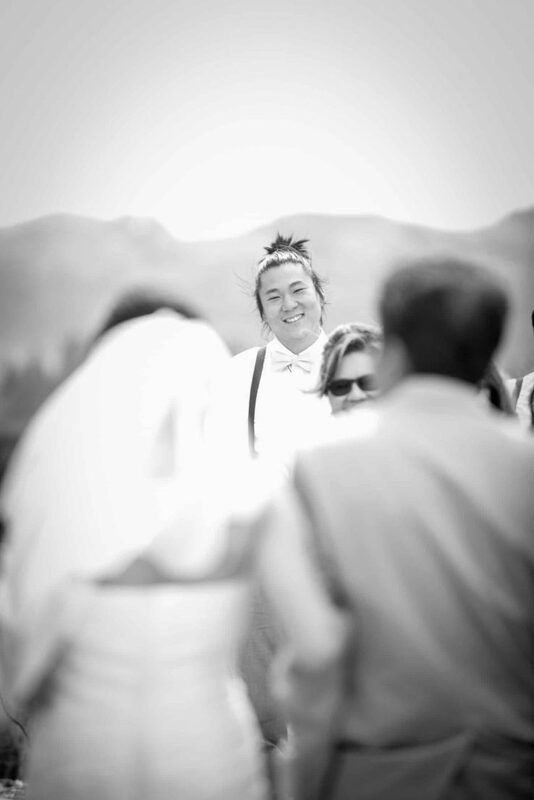 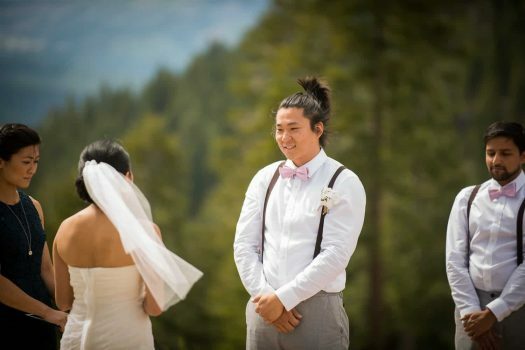 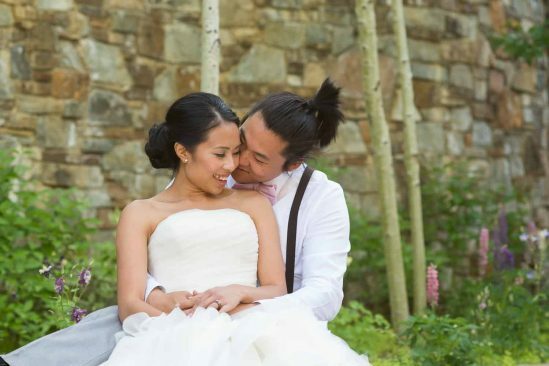 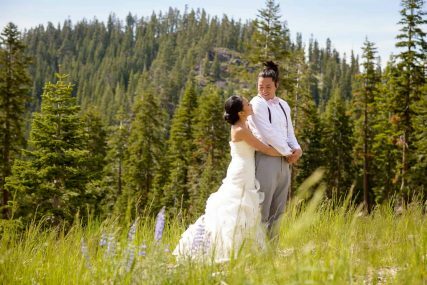 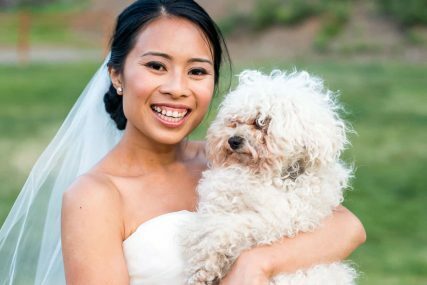 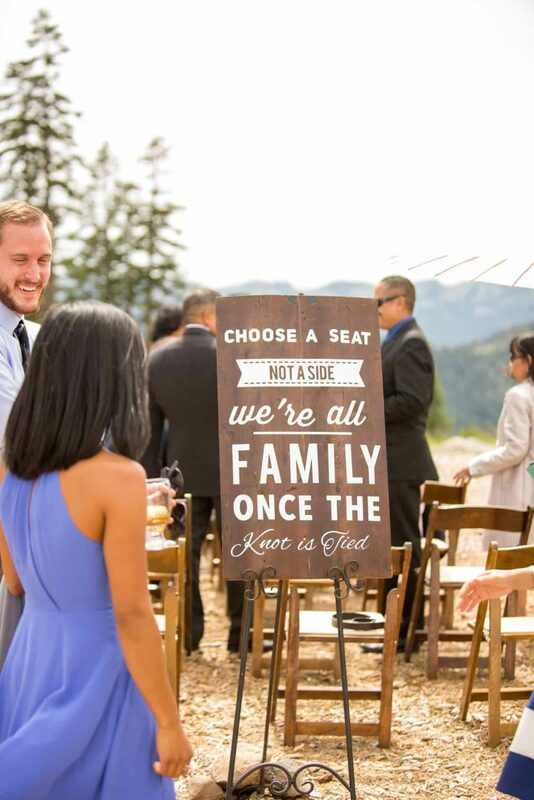 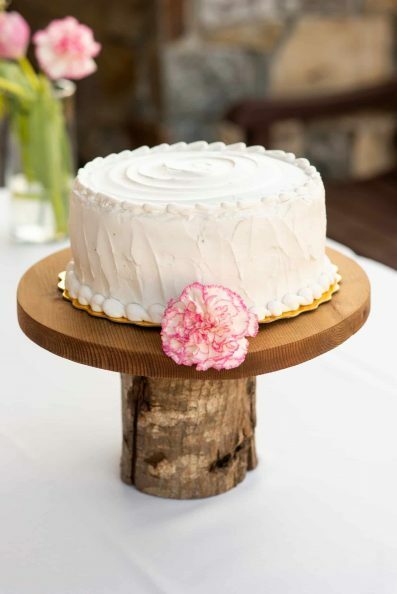 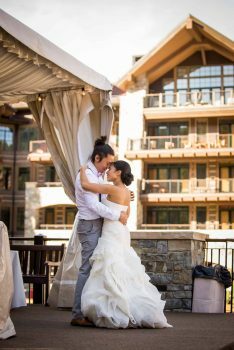 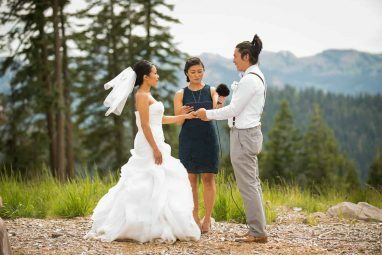 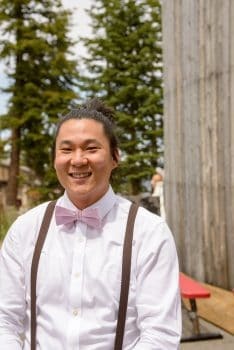 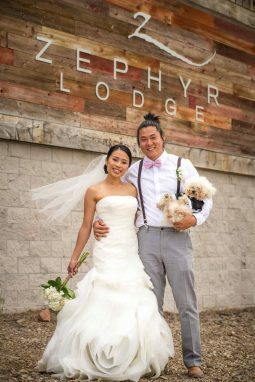 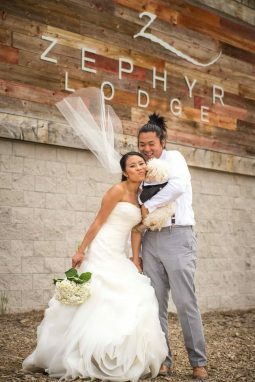 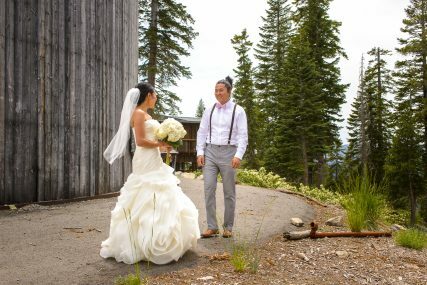 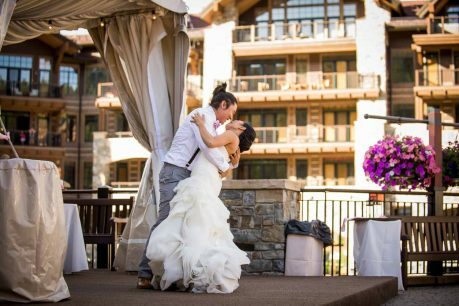 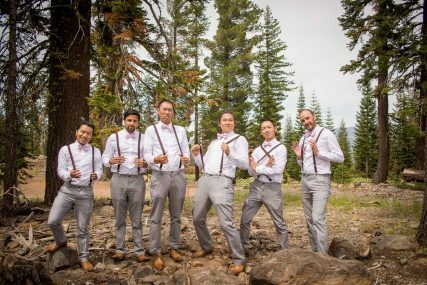 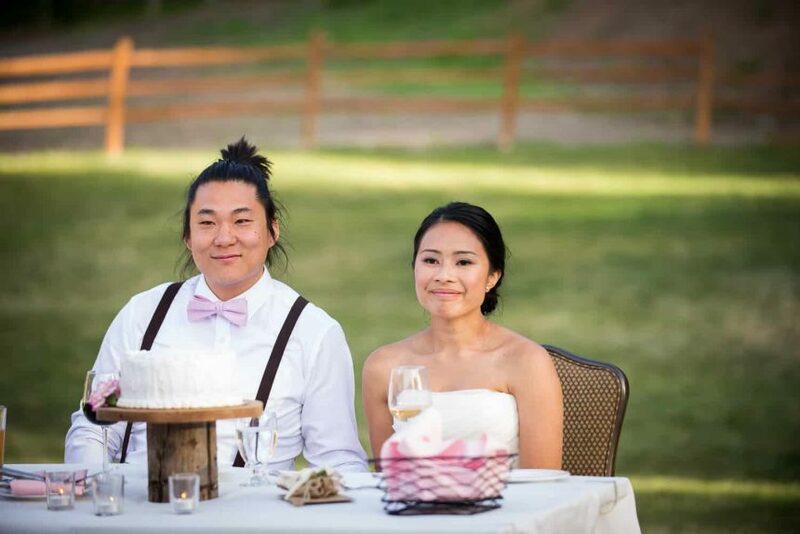 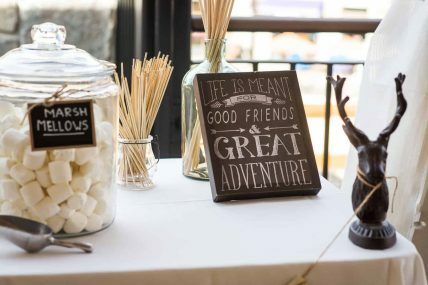 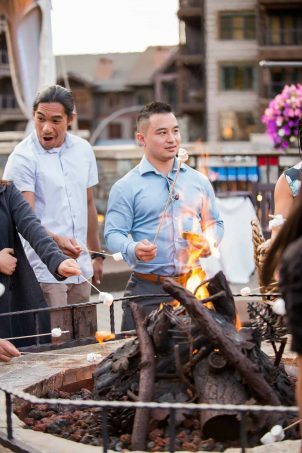 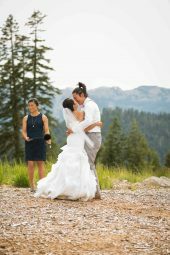 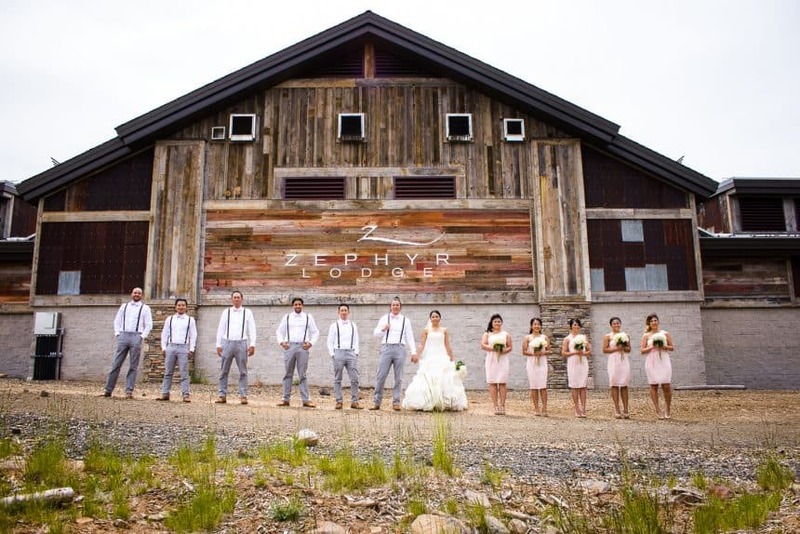 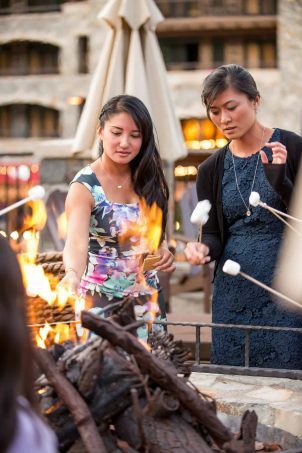 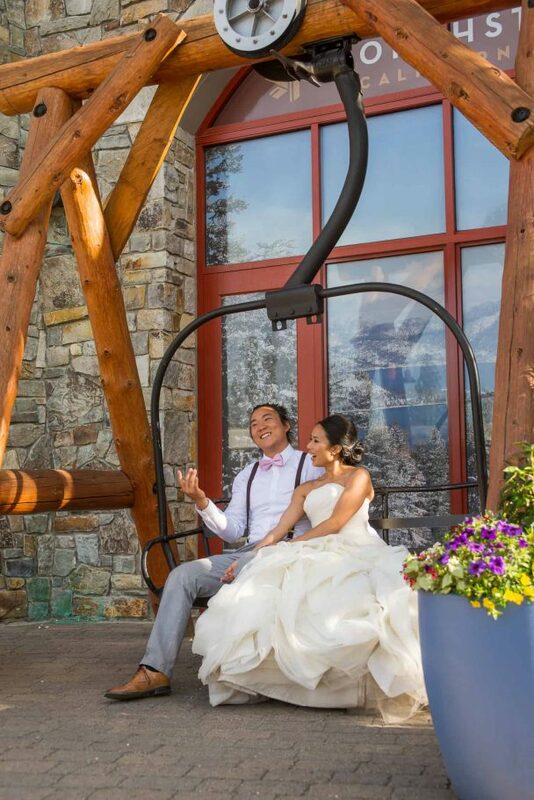 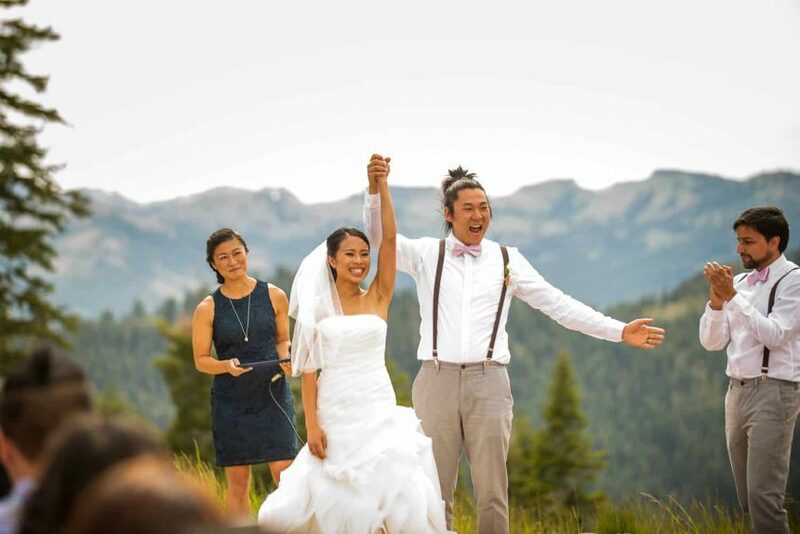 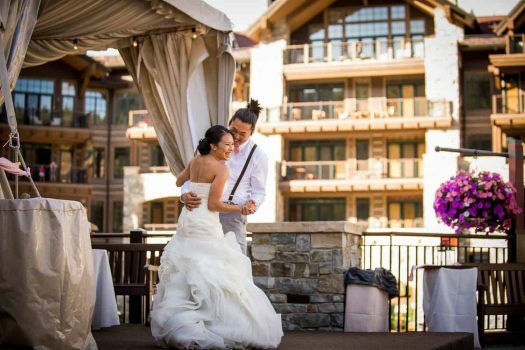 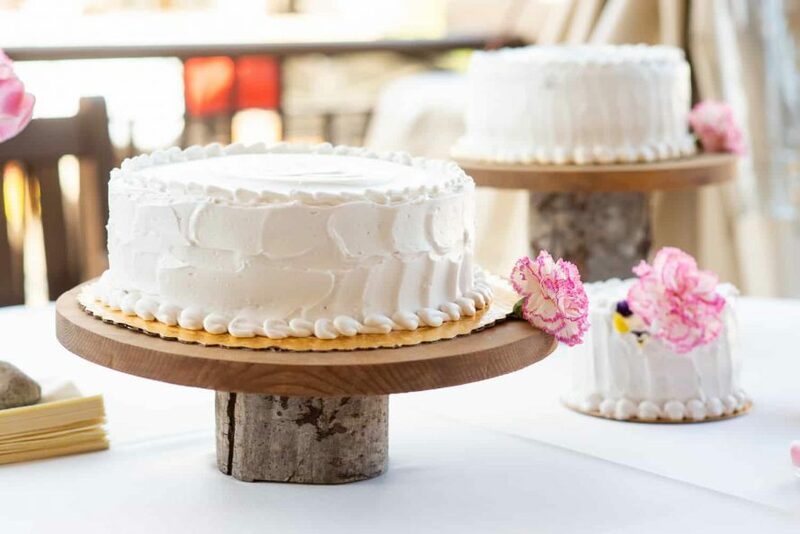 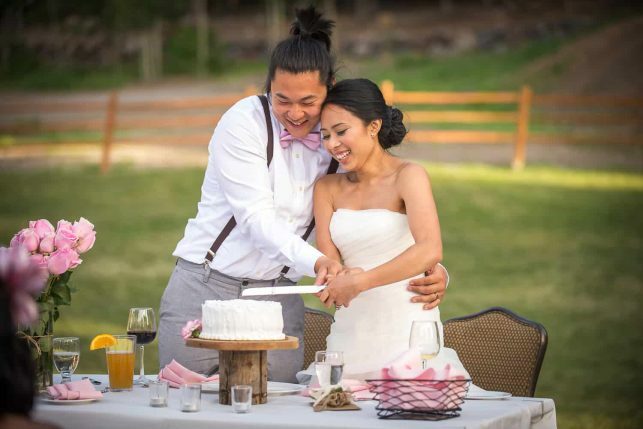 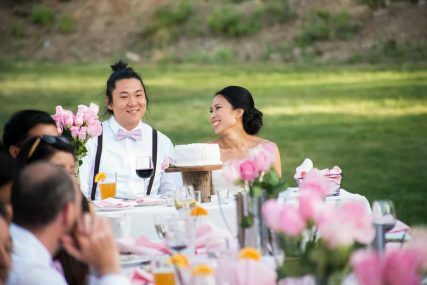 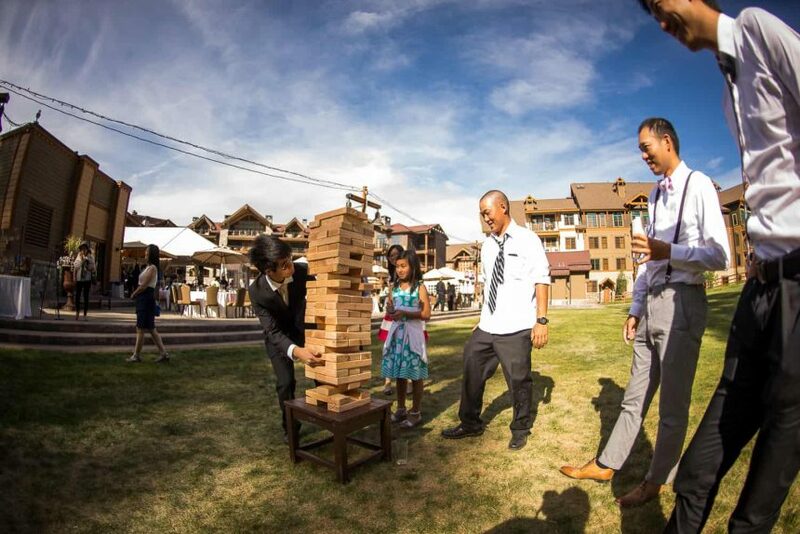 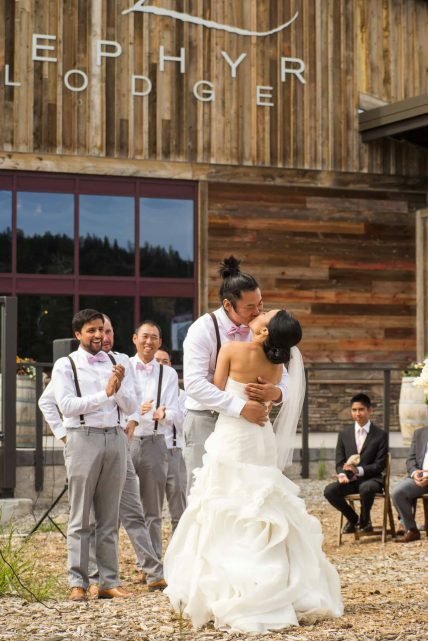 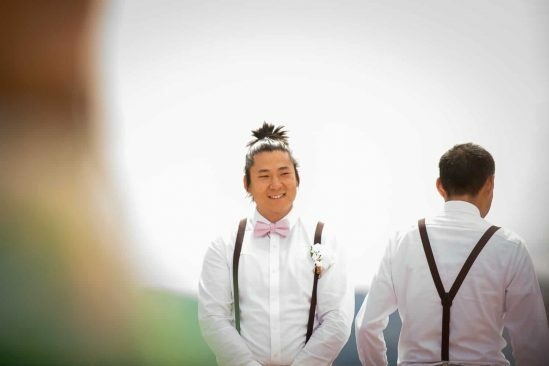 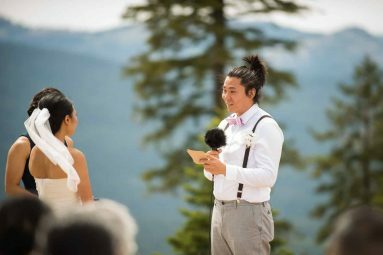 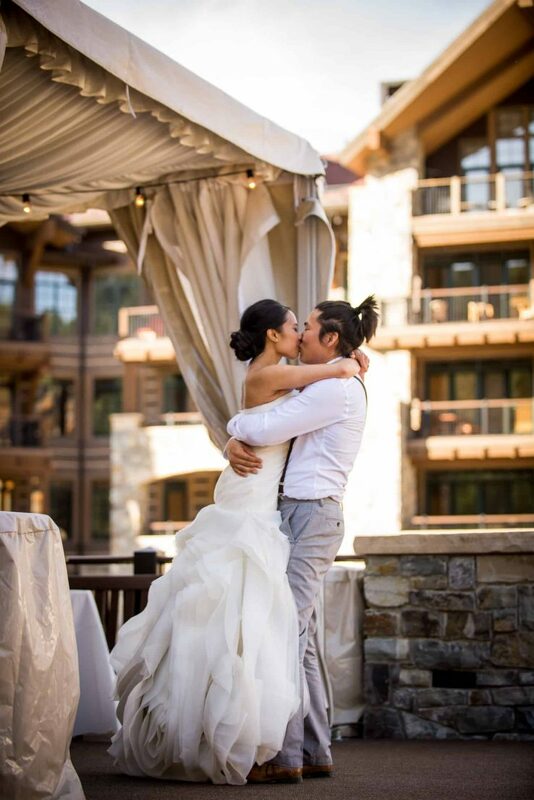 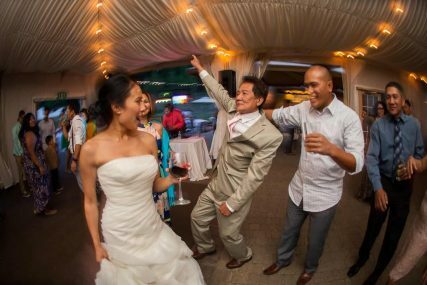 Check out another mountain top wedding from Heavenly Ski Resort.